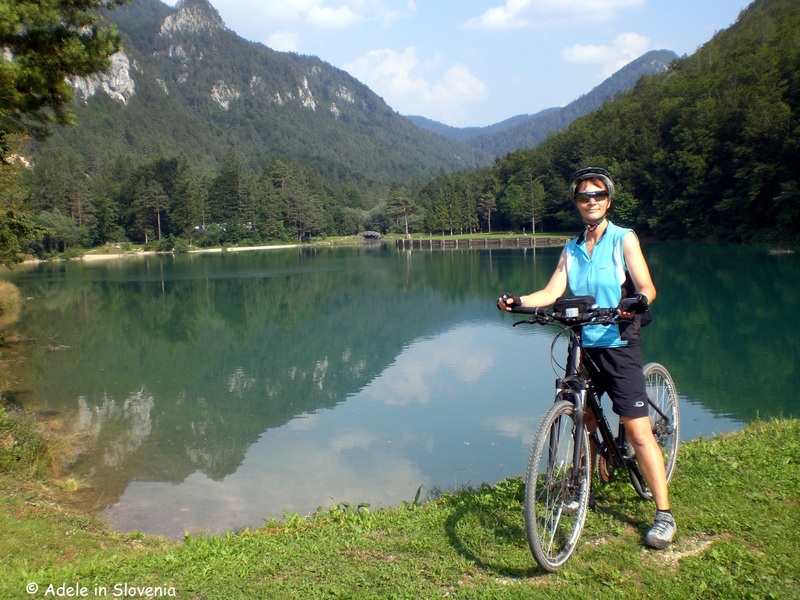 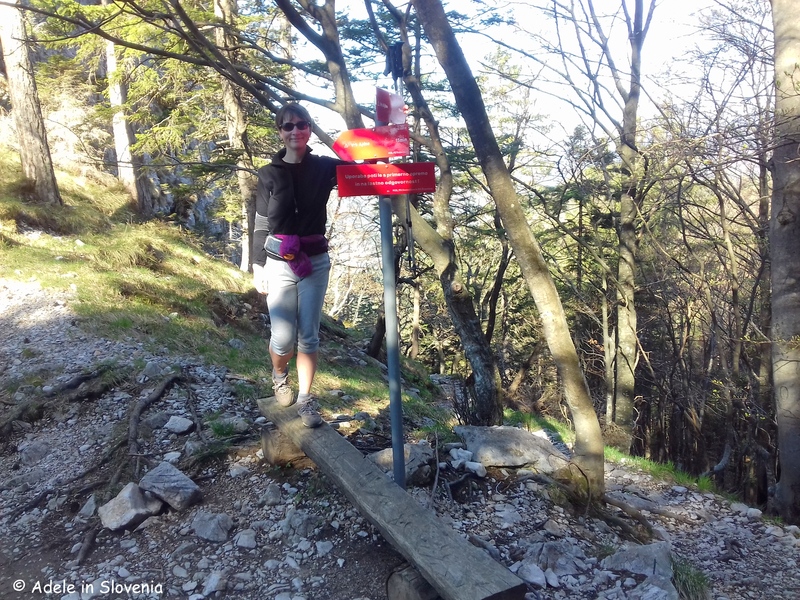 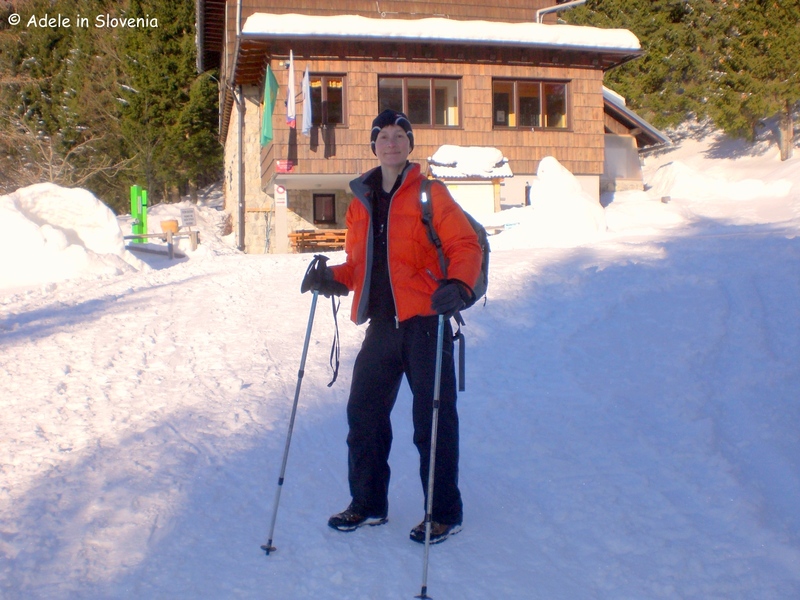 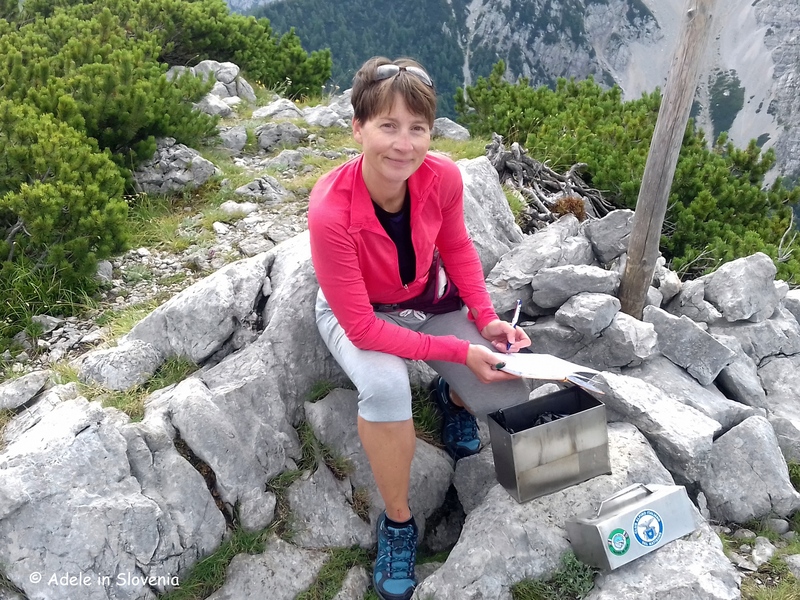 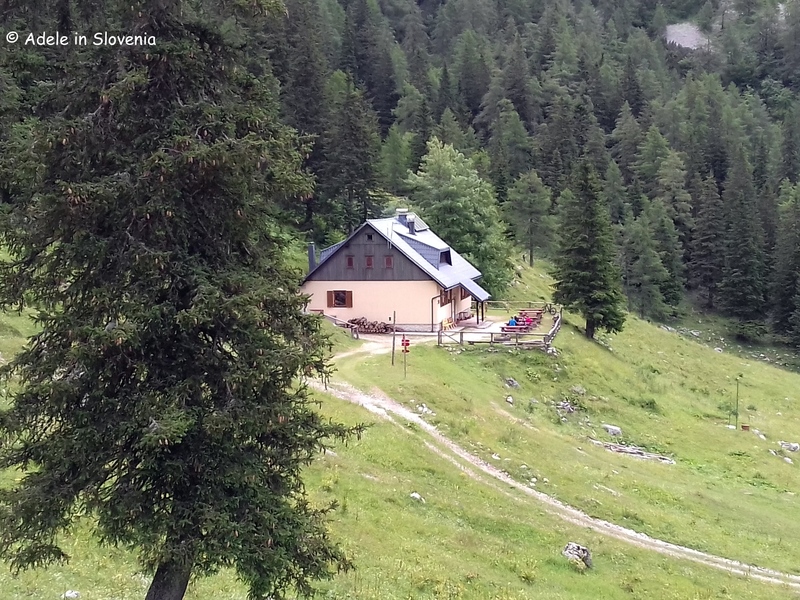 Valvasorjev dom – Voted Slovenia’s Best Mountain Hut for the 3rd Time in 5 years! 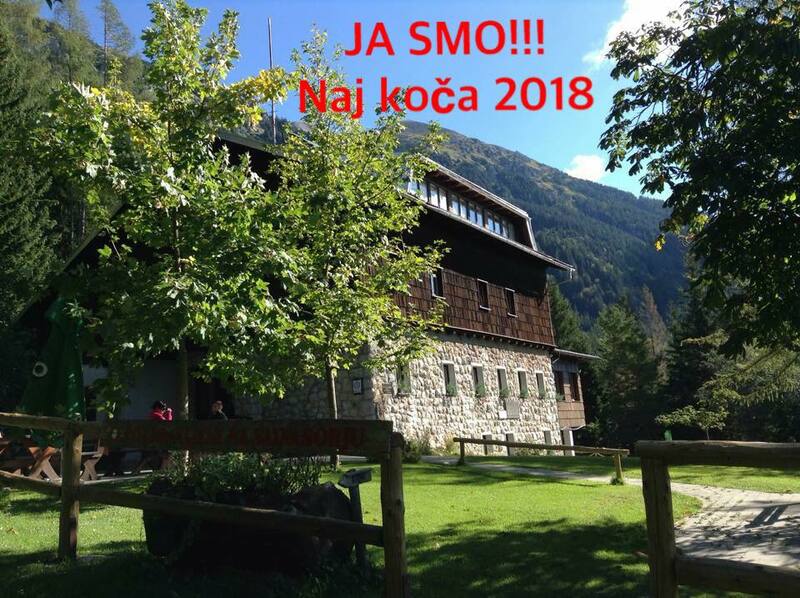 So, it’s official, Valvasorjev dom is the winner of the title of Slovenia’s Best Mountain Hut – making it the third time it has won this prestigious title! 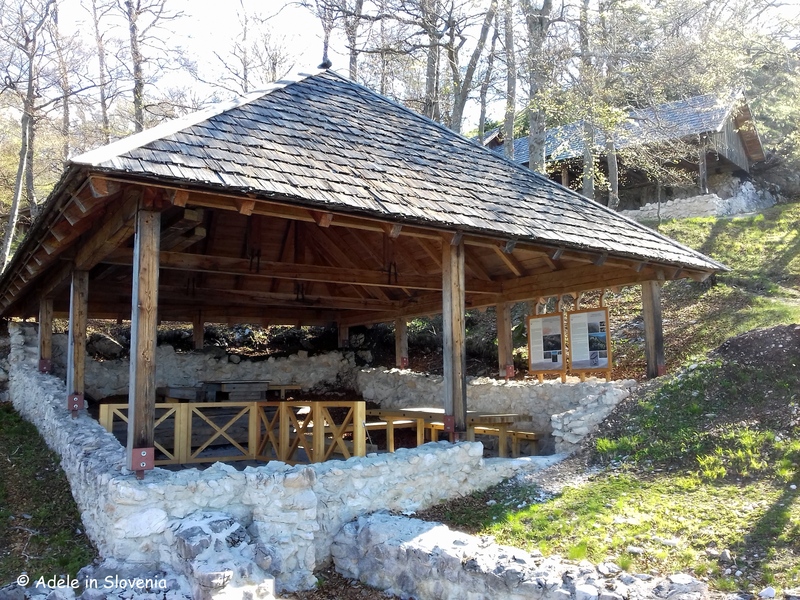 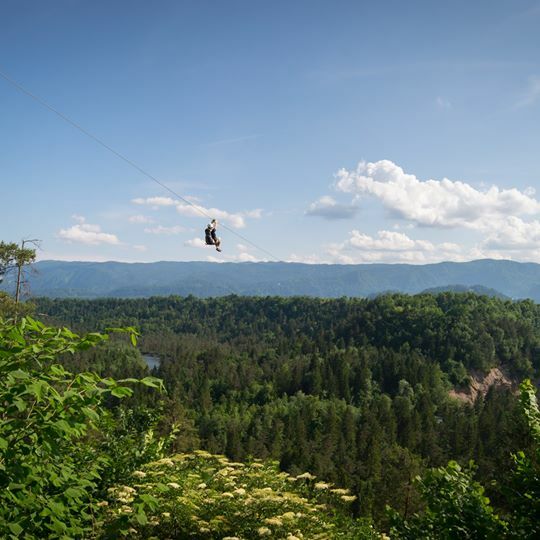 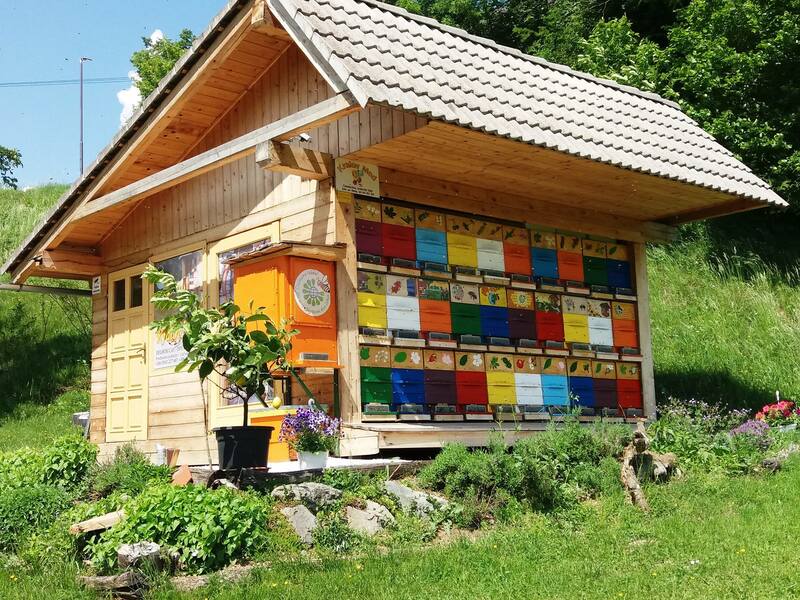 Last year, due to the rules of the competition which state that huts cannot be nominated two years in-a-row, Valvasorjev dom wasn’t in the running, but this year it once again breezed to become the holder of the title ‘Slovenia’s Best Mountain Hut 2018’. 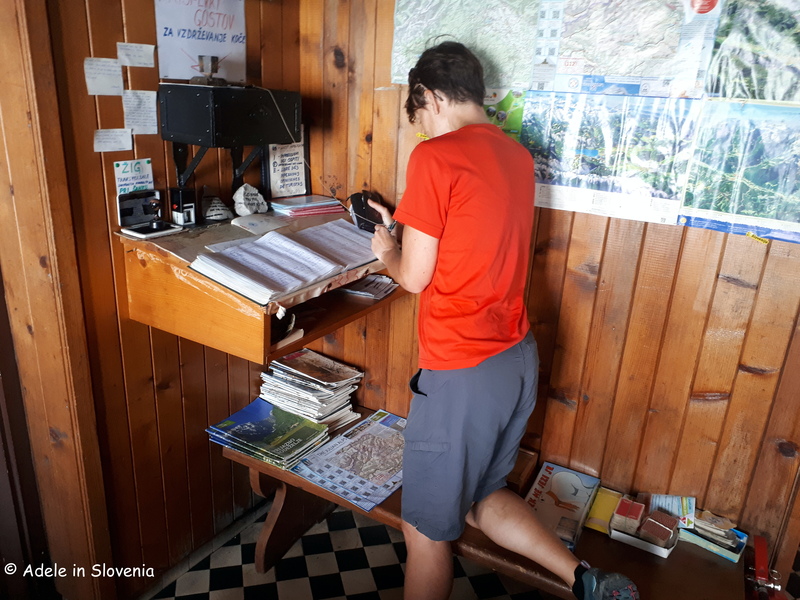 Congratulations to Aleš Štefe and the team! 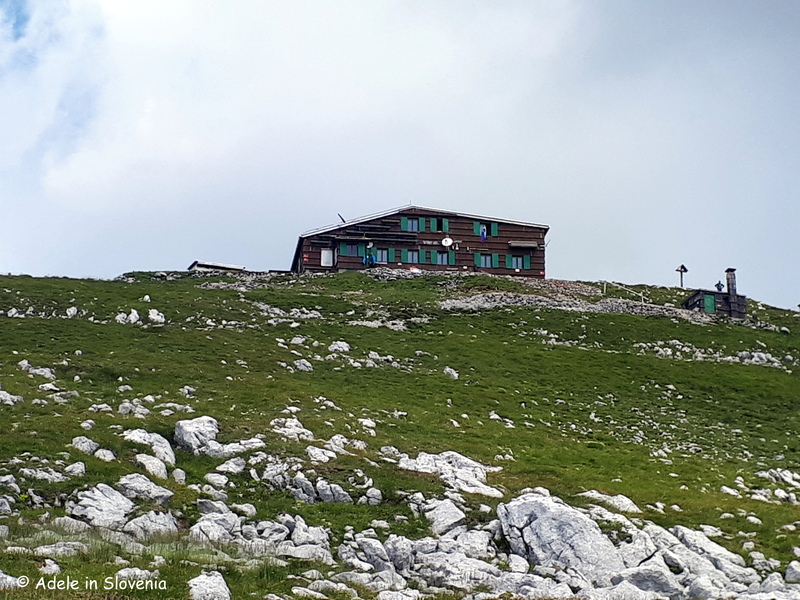 Having already won the title in 2014 and 2016, this is a pretty impressive feat for a hut that doesn’t even have much of a view! 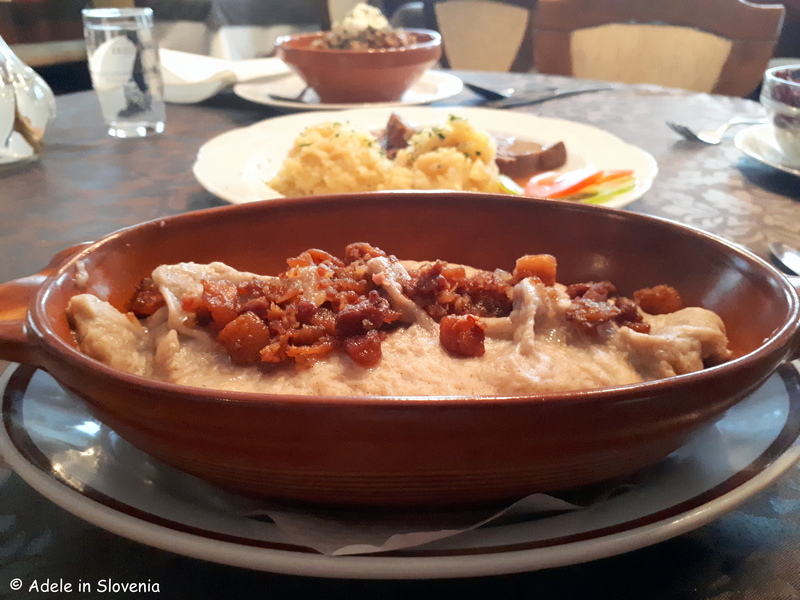 But what it lacks in views, it makes up for with its great food, friendly team and welcoming atmosphere – all of which have proved to be a winning combination. 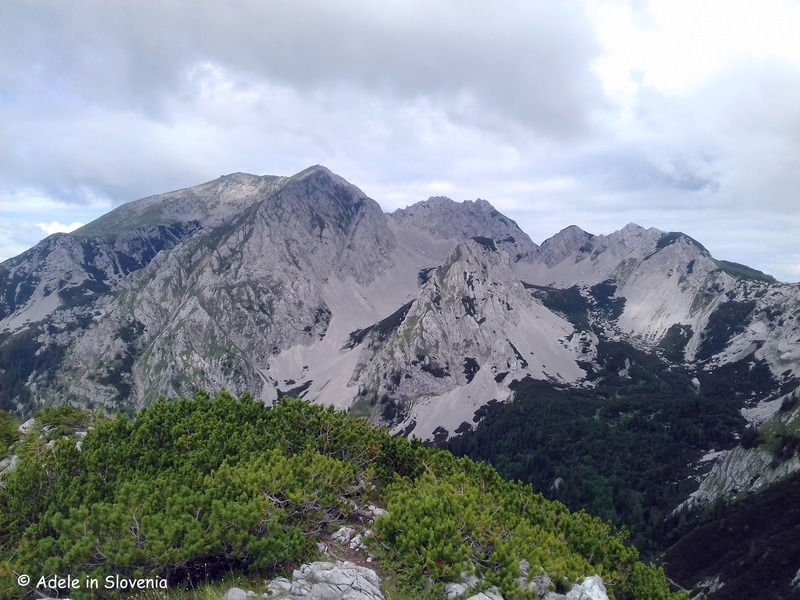 Valvasorjev dom (1,181m) lies beneath Stol (2,236m) – the highest peak in the Karavanke range. 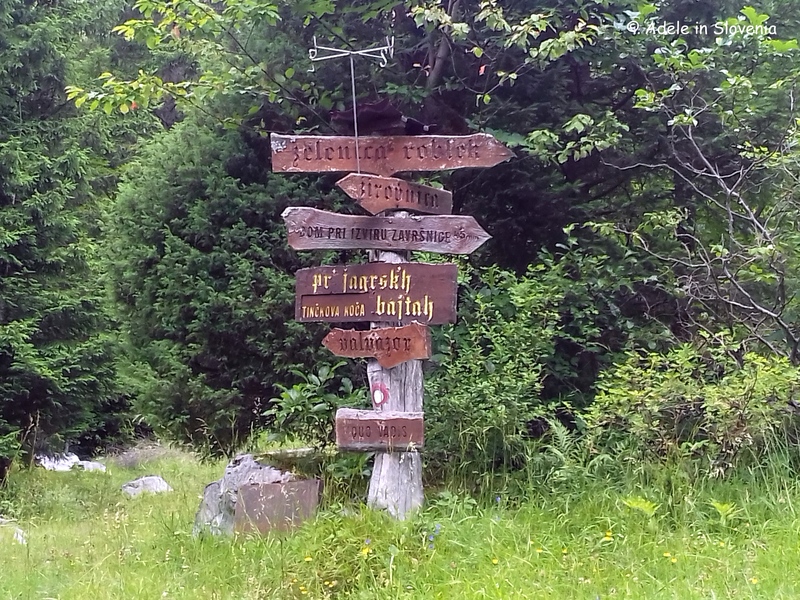 For those looking for a short hike, the hut can be a destination in itself – you can reach it in a little over an hour from the car park at the Završnica reservoir, or you can visit as part of a longer hike to Stol itself or numerous other destinations – as can be seen from the signs (below) in front of the hut. 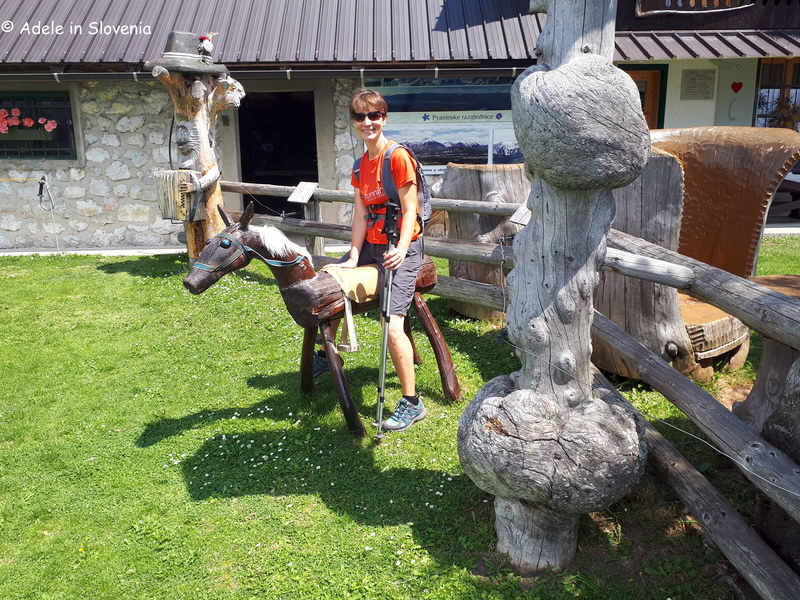 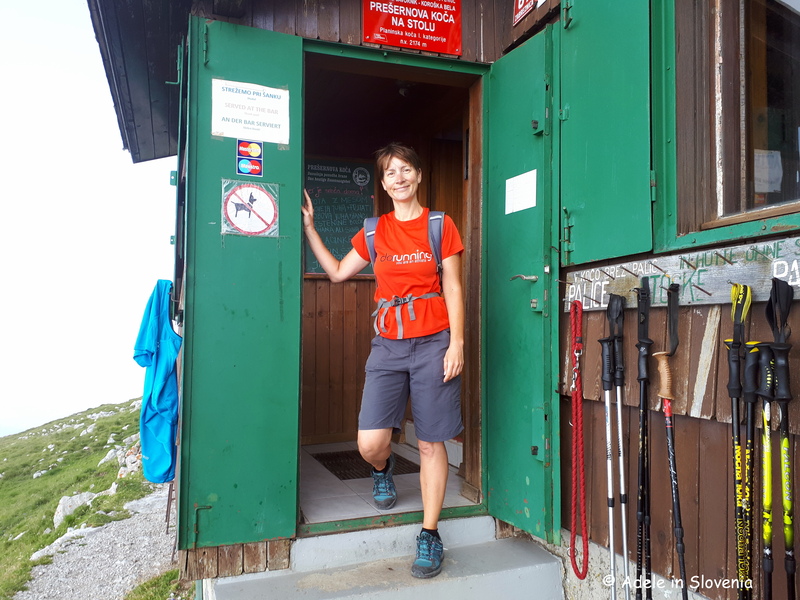 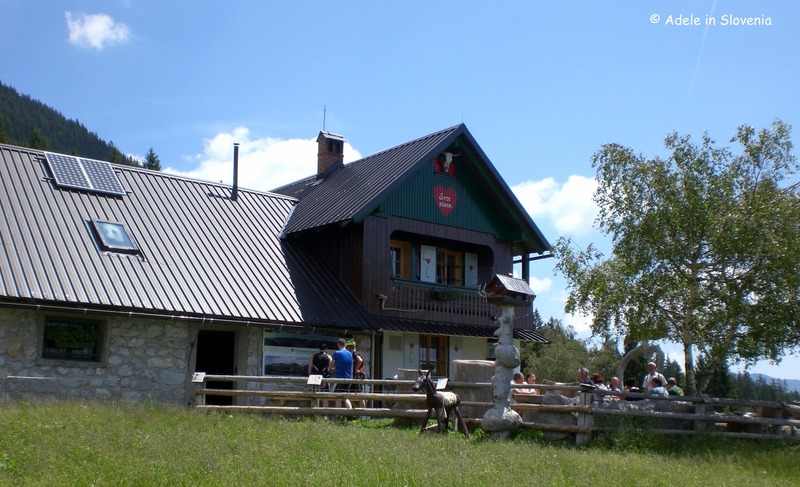 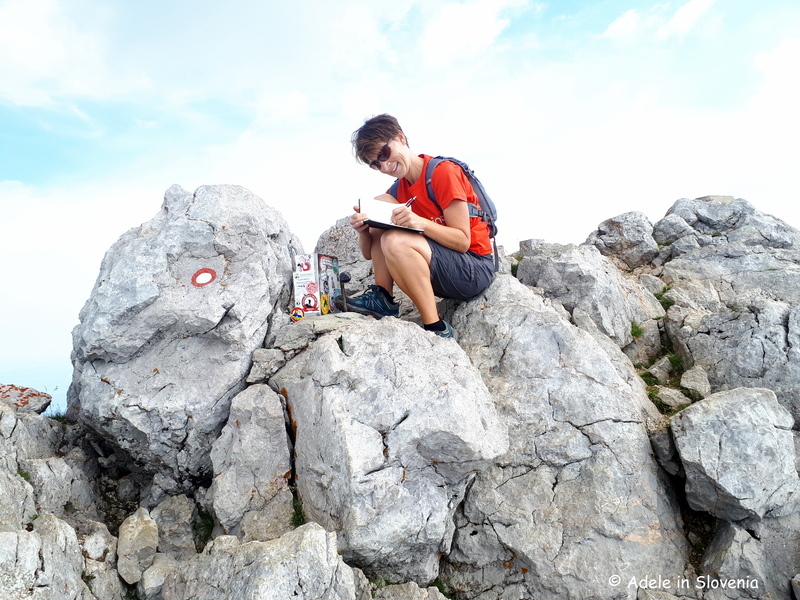 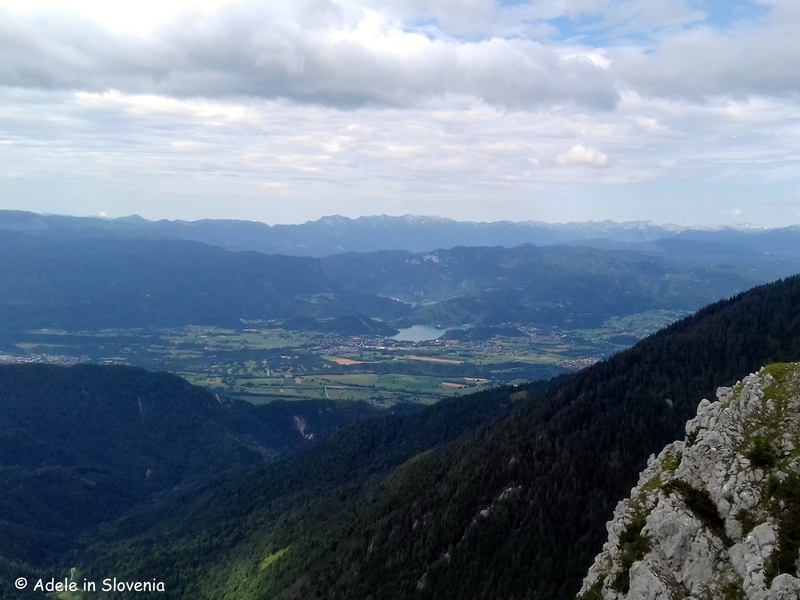 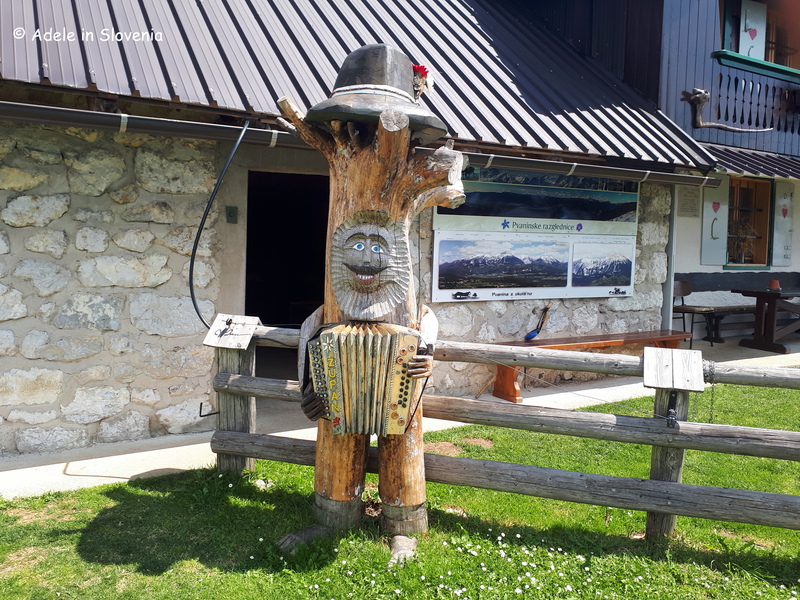 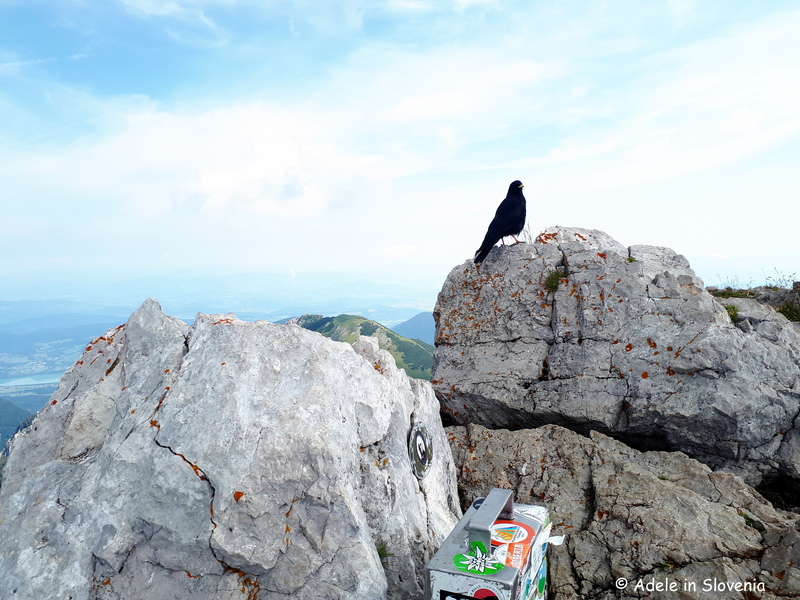 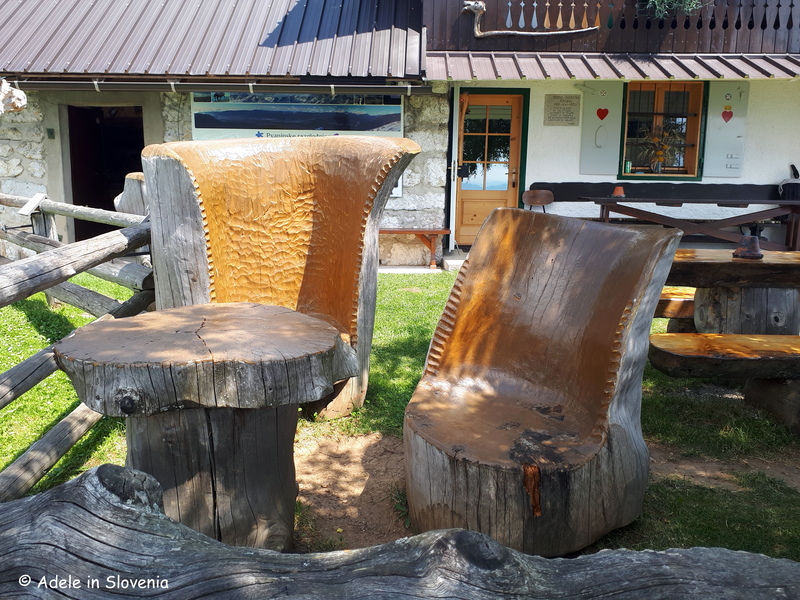 During summer, you can also visit the other mountain hut on Stol, Prešernova koča – just a short distance from the summit – from where there are also numerous choices of onward routes. 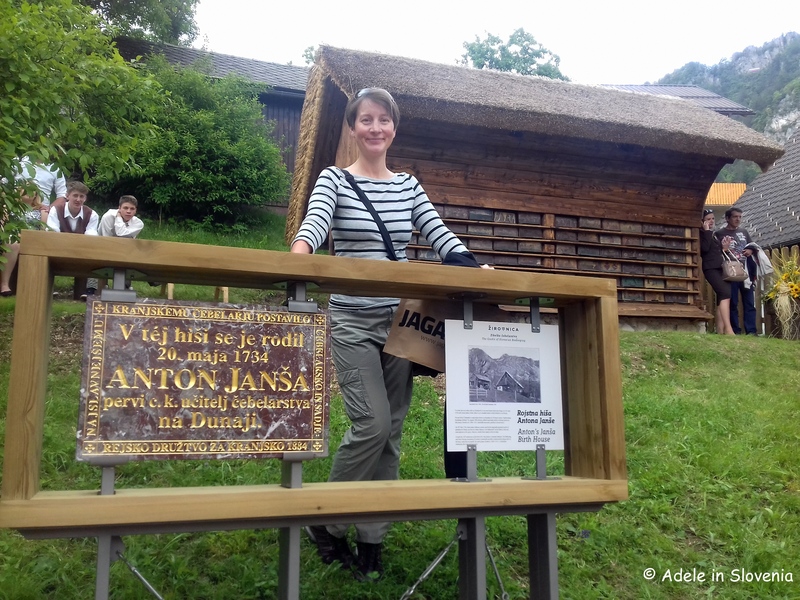 The fascinating Ajdna archaelogical site is just a 30-minute walk from Valvasorjev dom. 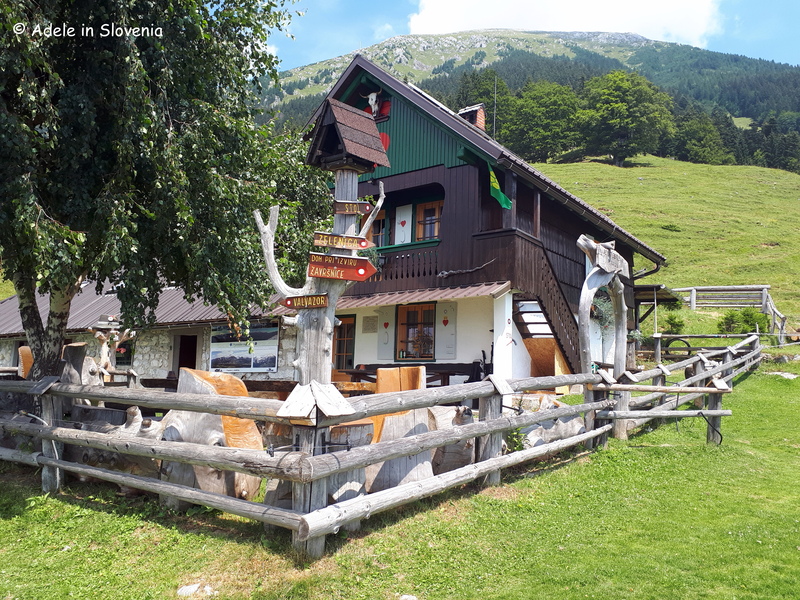 Or you can visit one or more of the numerous mountain pastures beneath Stol such as the Zabreška planina highland (1,225m), or the Zirovniška planina (1,200m) highland. 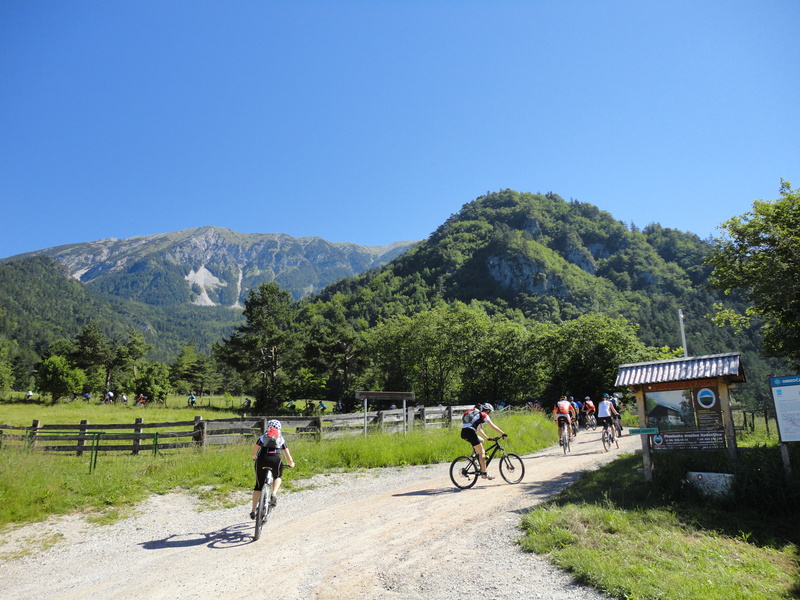 Valvasorjev dom is also a popular destination for mountain bike enthusiasts, who can ride up the 5km forest road before heading off to traverse some of the afore-mentioned mountain pastures. 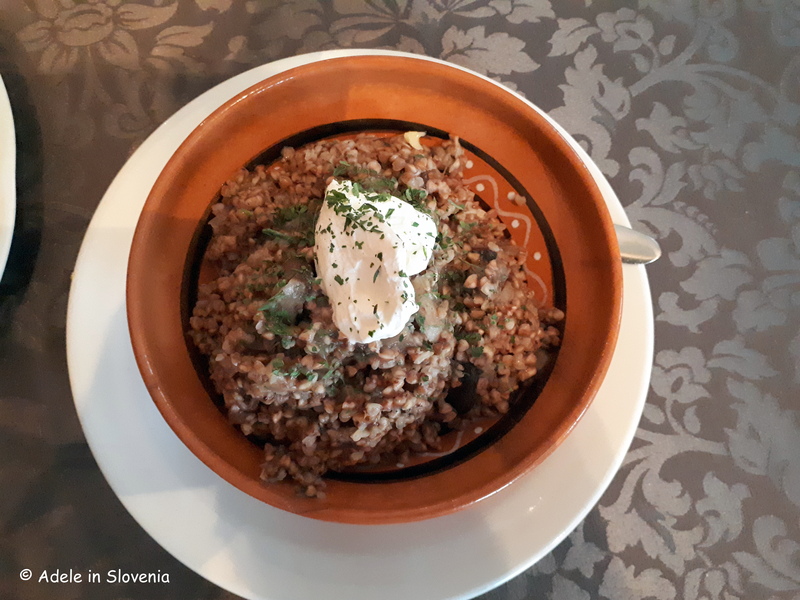 The fact that it is one of the few huts that is open year-round is also an added bonus, and Valvasorjev dom is as popular in winter as it is in summer. 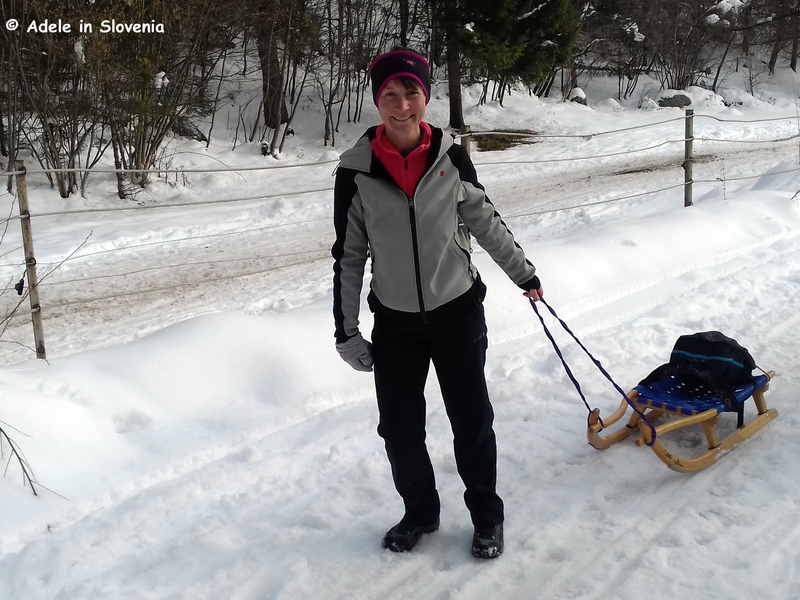 When conditions permit, the 5km road from the valley is turned into a sledging track, too. 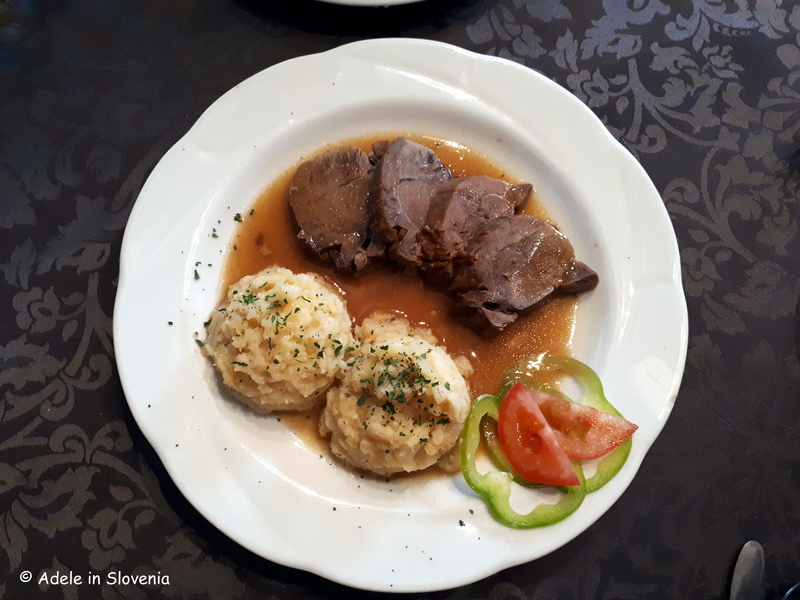 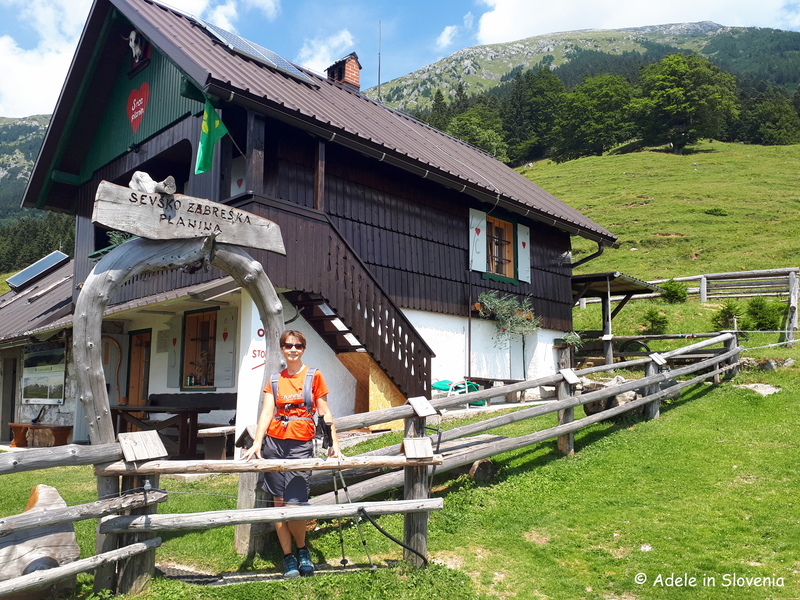 So, as you can see, there are more than enough reasons to visit the Valvasorjev dom mountain hut and to find out for yourself why it is a three-time winner! 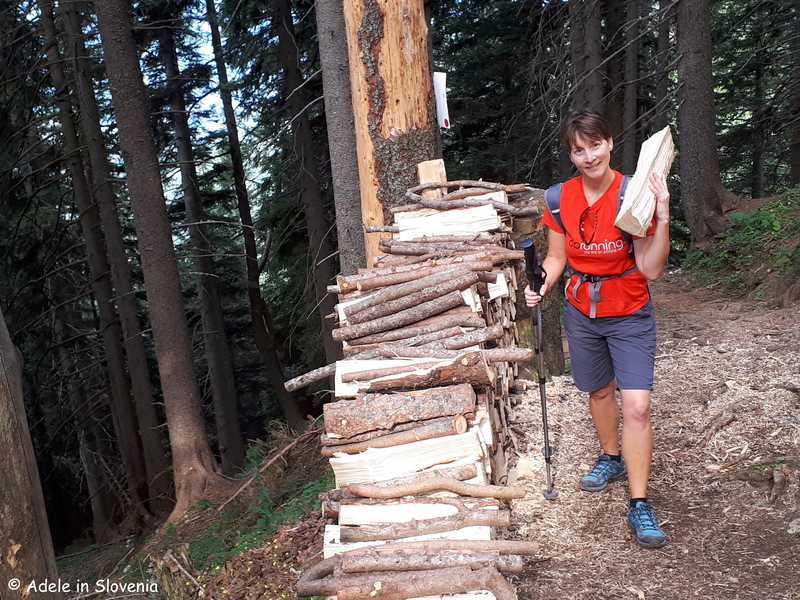 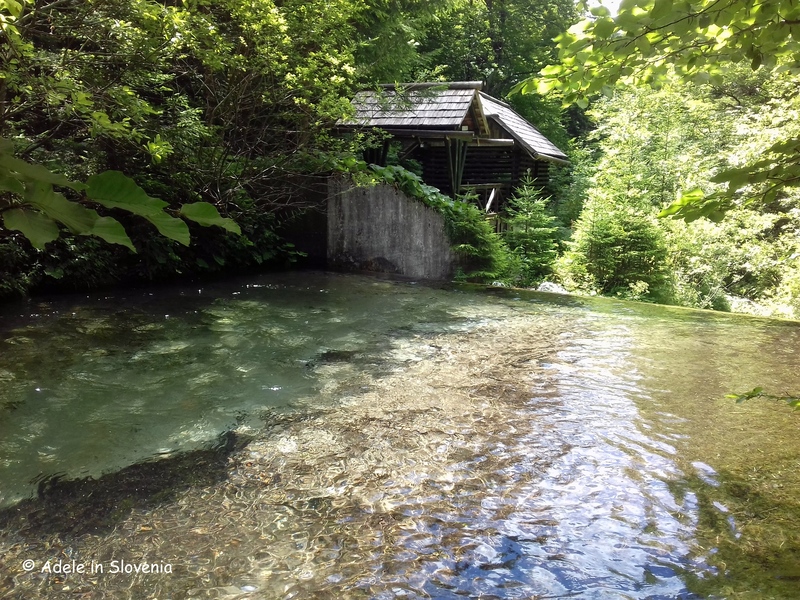 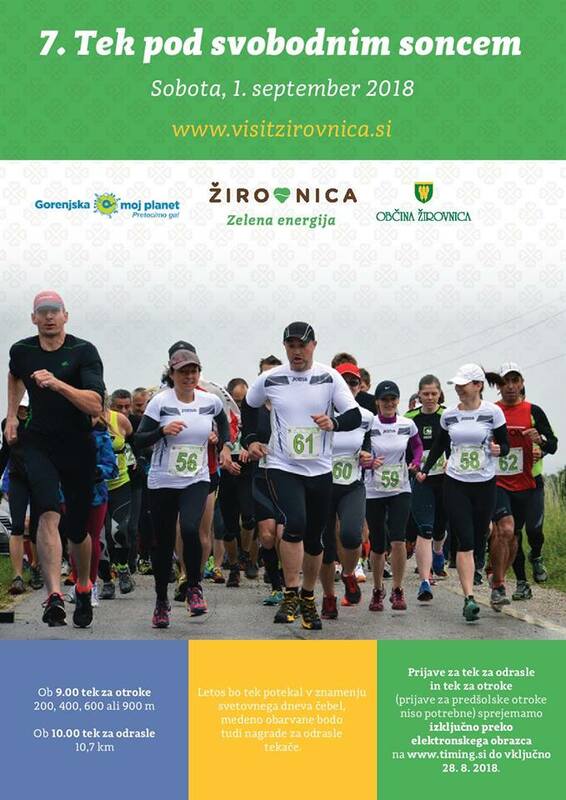 Click here to find out more about hiking and other activities in the Žirovnica area beneath Stol. 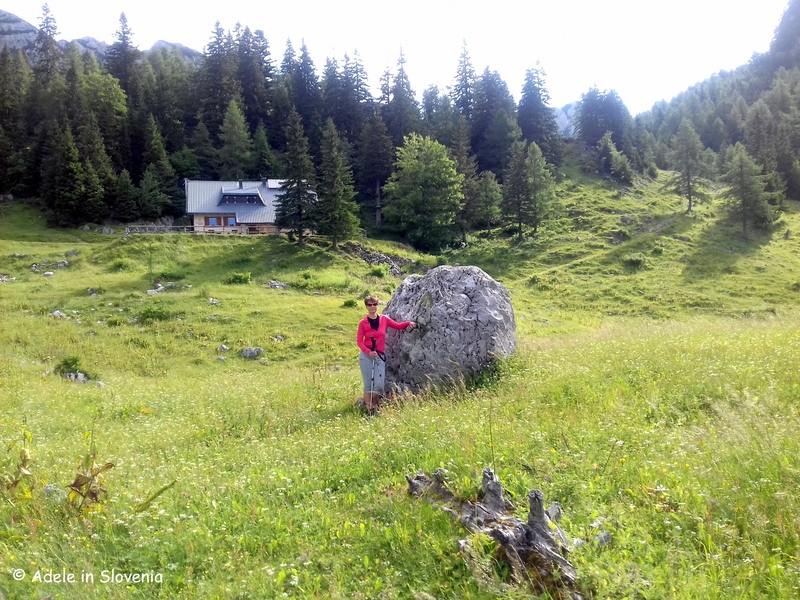 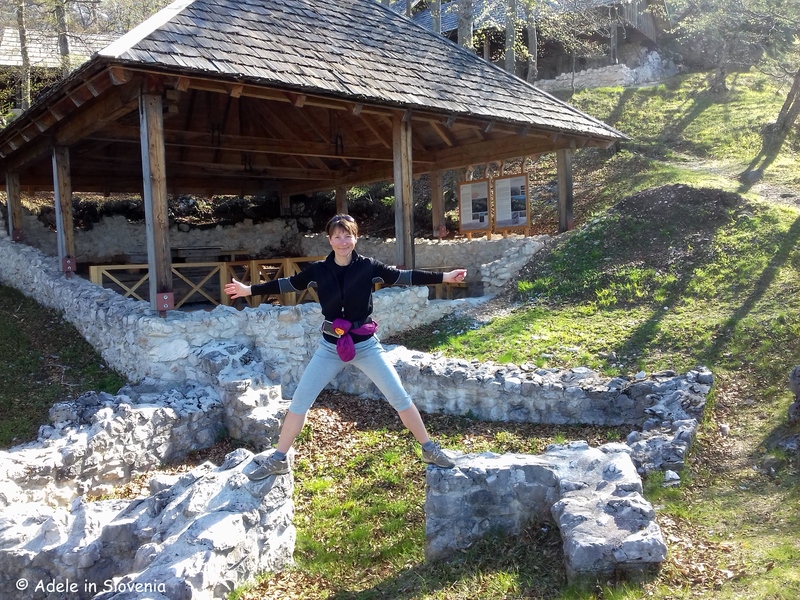 The Forgotten Village on Ajdna – A Fascinating Archeological Site and a Great Hike Too! 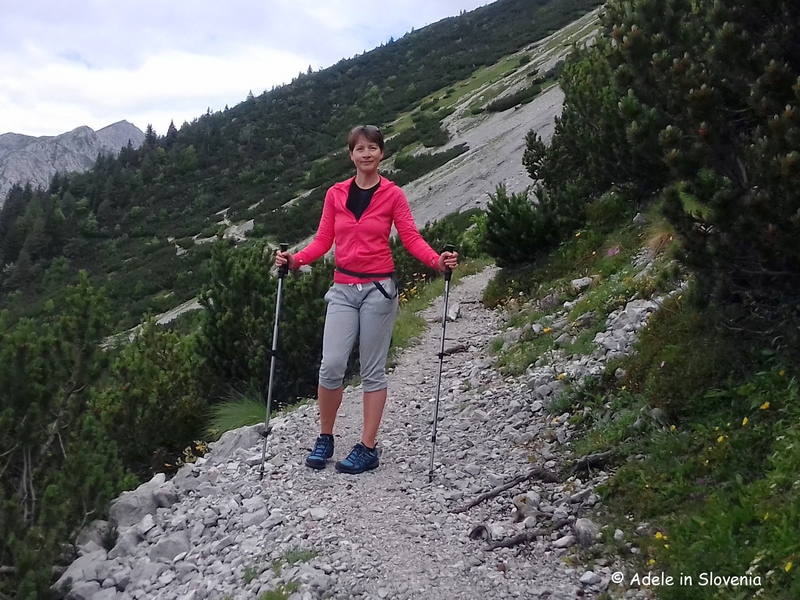 Ajdna is the name of a tooth-shaped peak that lies beneath Mt. 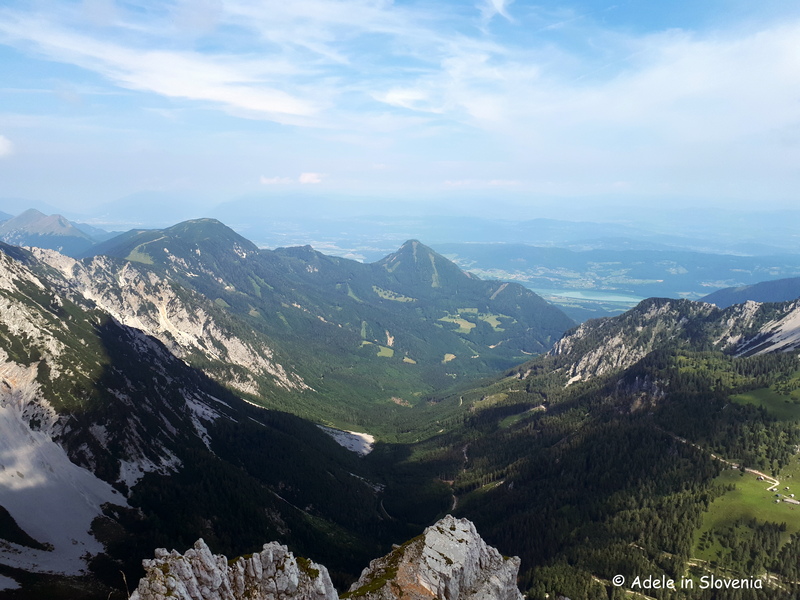 Stol, the highest mountain in the Karavanke range. 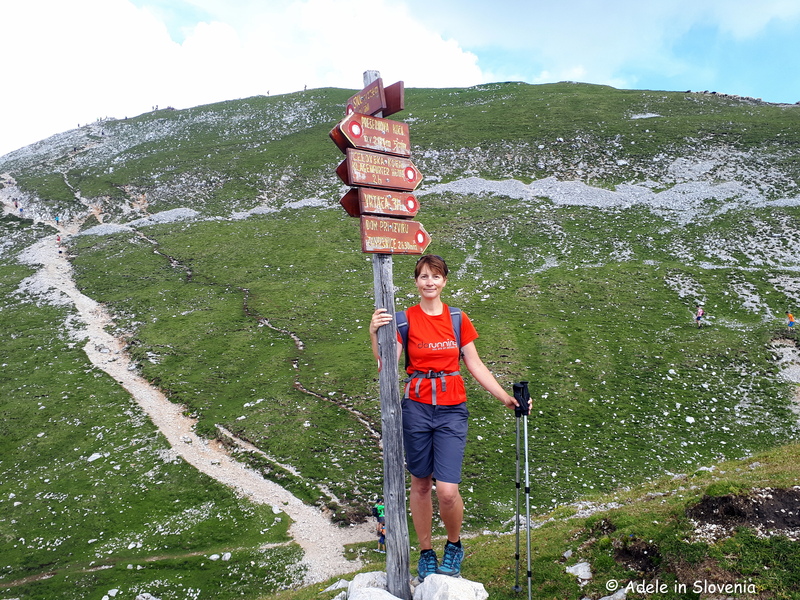 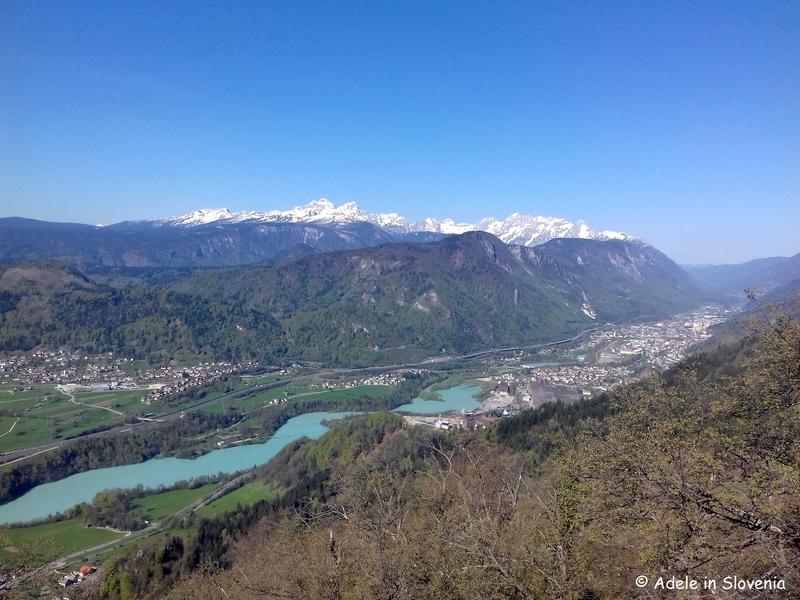 A hike to Ajdna is fascinating, interesting and, if you take the steep way up, also a little challenging – but don’t worry, there’s an easier route up there as well! 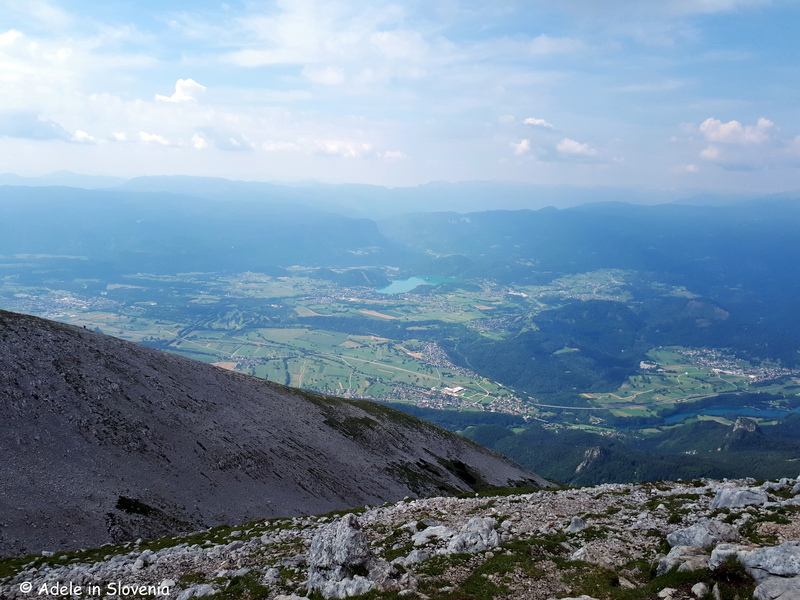 The site was first discovered by the field archaeologist Andrej Valič, who climbed to Ajdna with hunters in the 1970s. 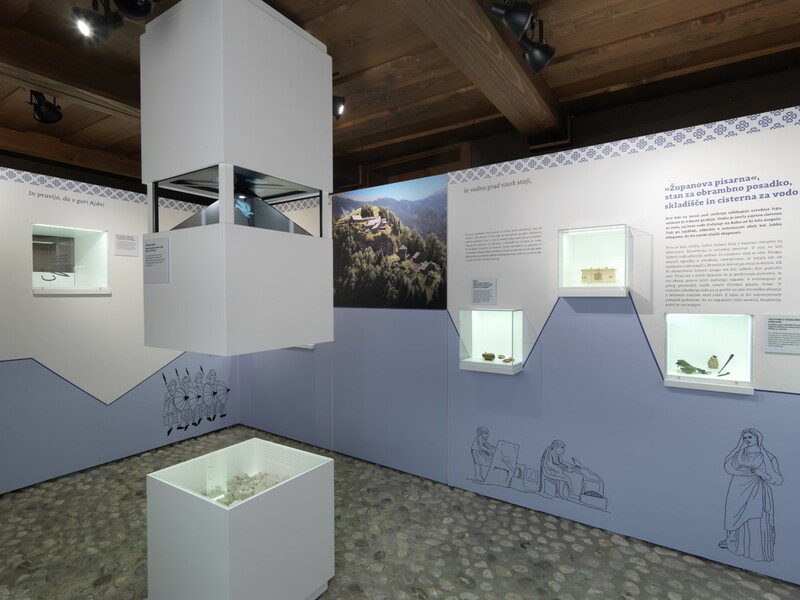 He identified the remains of an ancient village and archaeological excavations began in 1977. 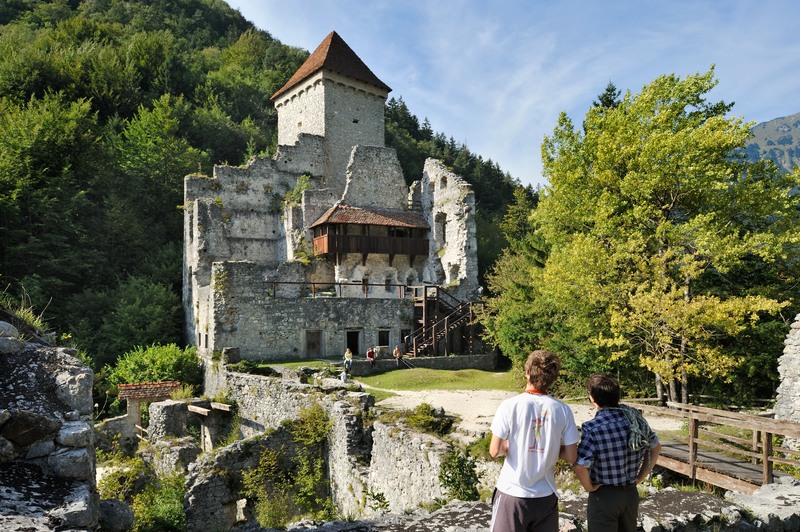 What they uncovered was, or rather is, truly fascinating. 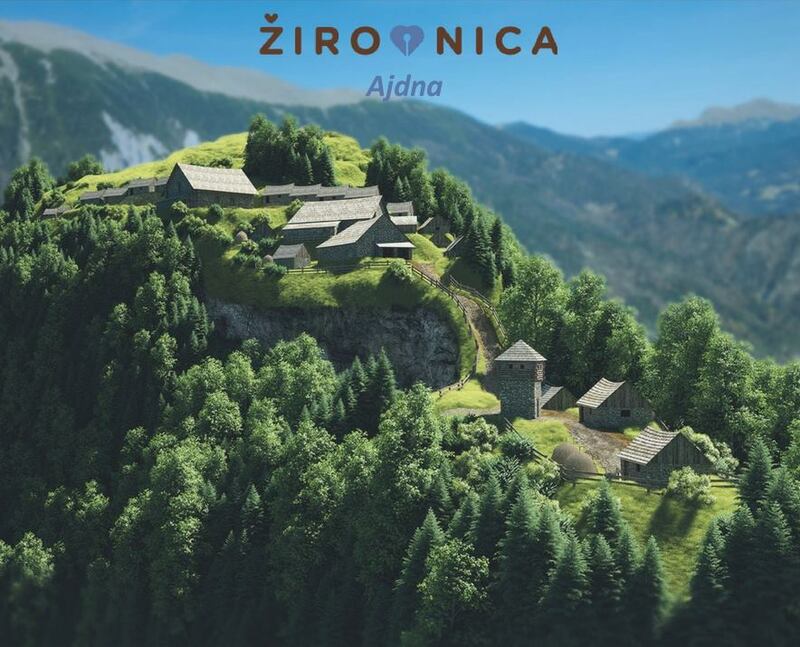 Below is an artist’s impression of the village on Ajdna. 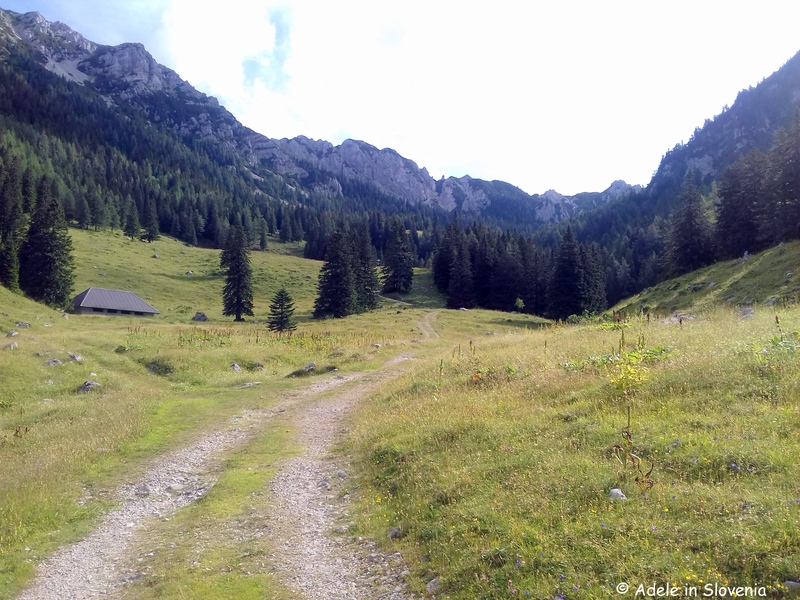 Ajdna provided locals with an excellent refuge from the troubles taking place down below in the valley, though one can only imagine what conditions must have been like that led people to flee to somewhere so inaccessible and, particularly in winter one would imagine, inhospitable. 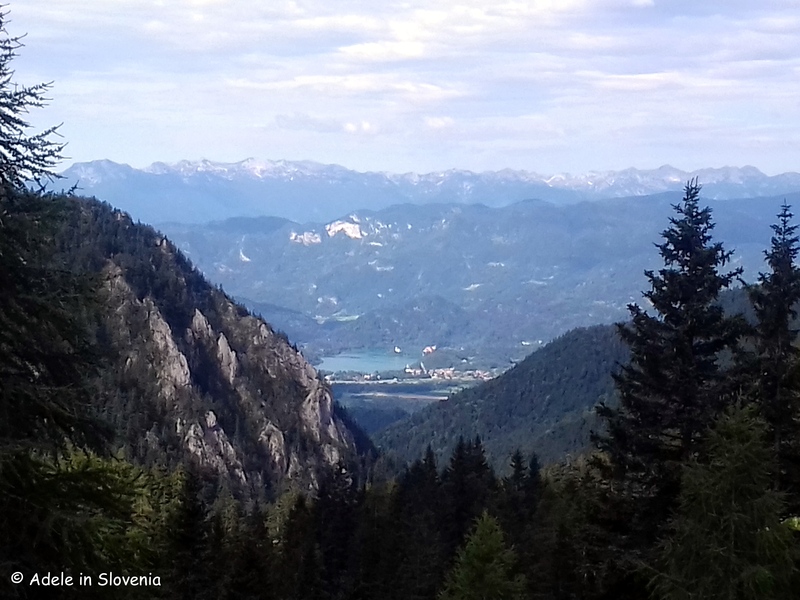 Mind you, they certainly found a place of peace and with stunning views! 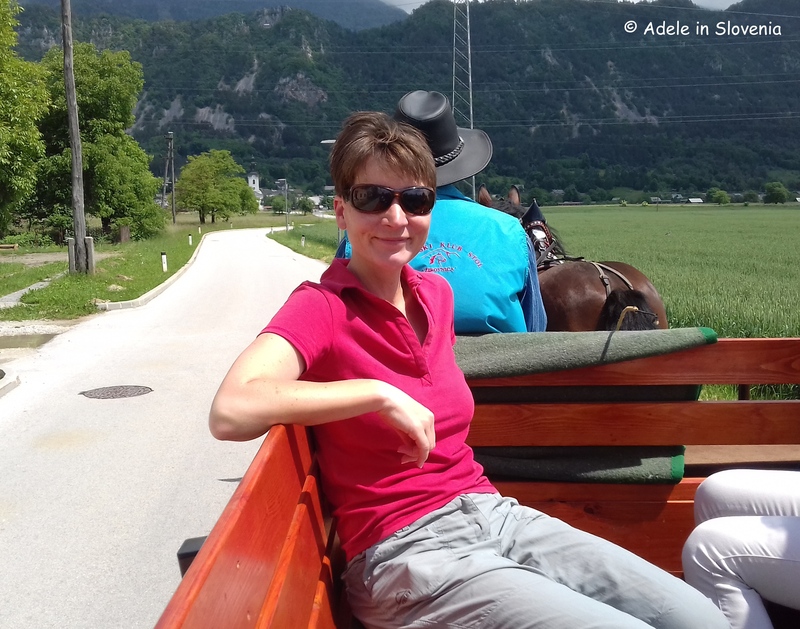 Ajdna was settled during the crisis times of the collapse of the Western-Roman Empire in 476 AD. 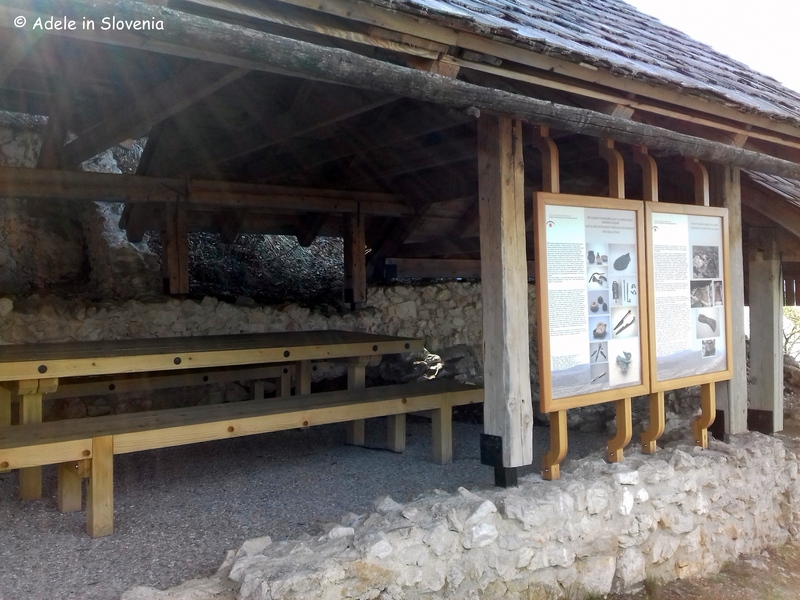 Extensive, expensive and exceptionally complex conservation work was carried out and today there are well-preserved buildings and remains of buildings that are thought to date back to the late Antiquity, though some evidence shows that it may even have been inhabited far earlier. 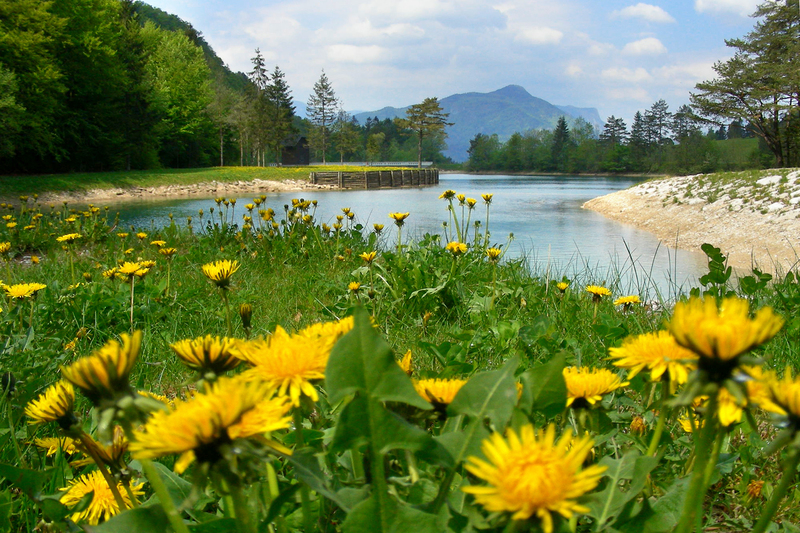 It is estimated that Ajdna was destroyed at the end of the 6th or beginning of the 7th century. 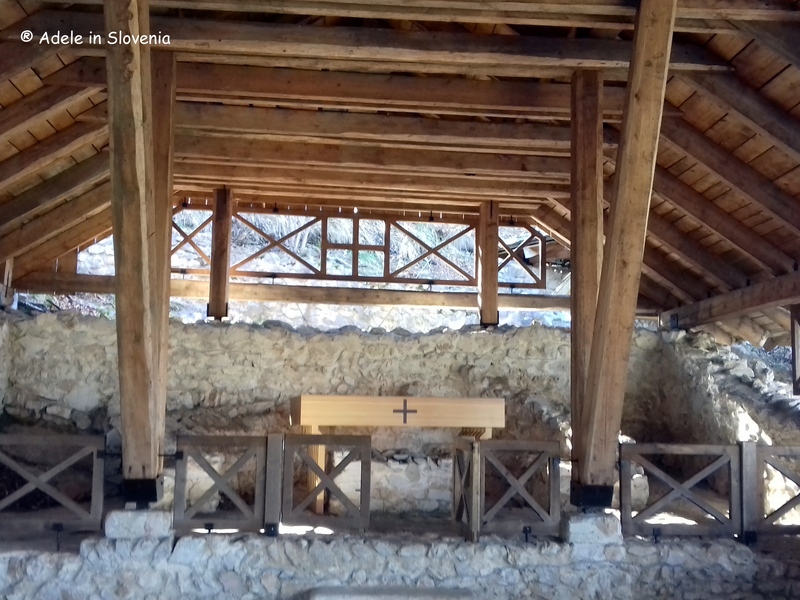 The desecration of the church points to the destruction most likely being the result of it being pillaged and set alight by attackers of other religions. 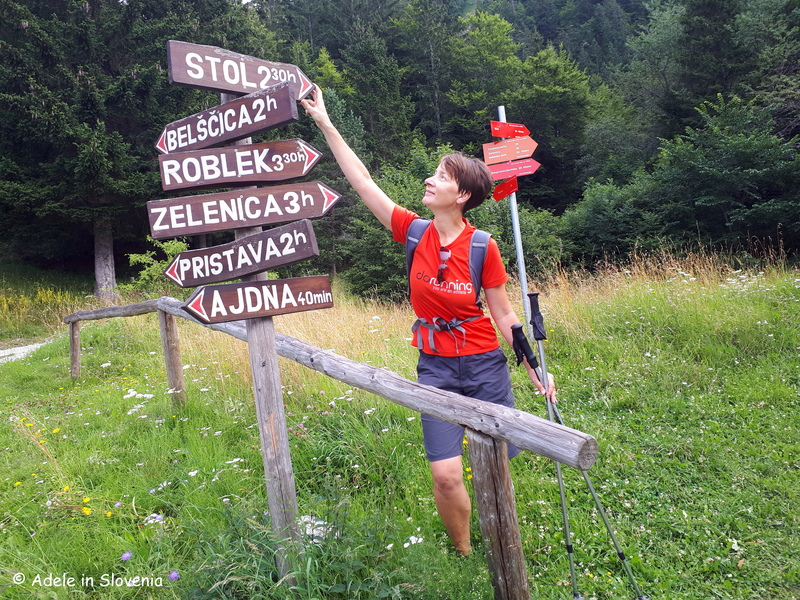 There are several ways to reach Ajdna, depending on which direction you are coming from and also depending on how far you want to walk. 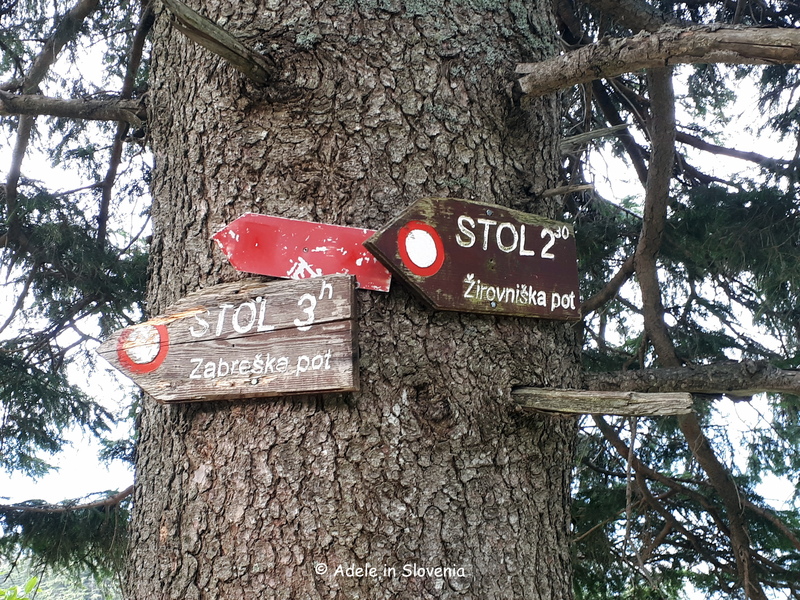 I took the path that leads from the reservoir in the Završnica valley. 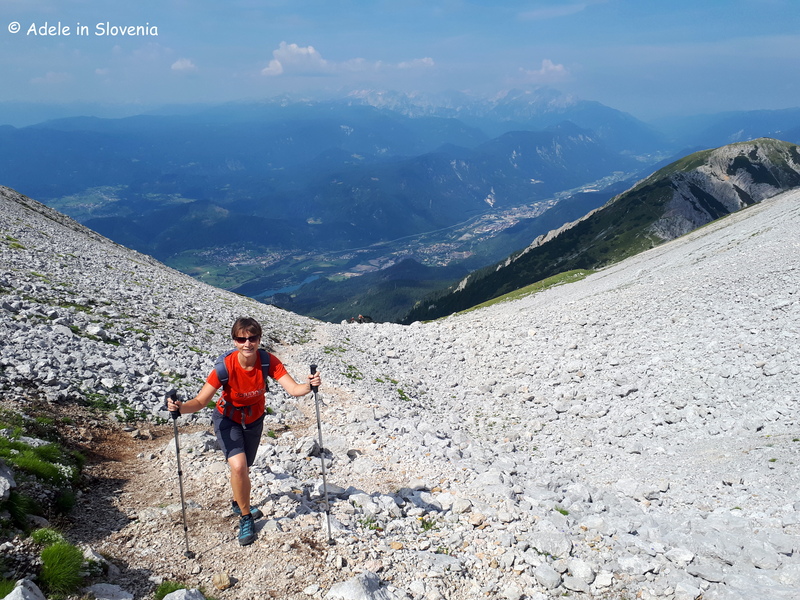 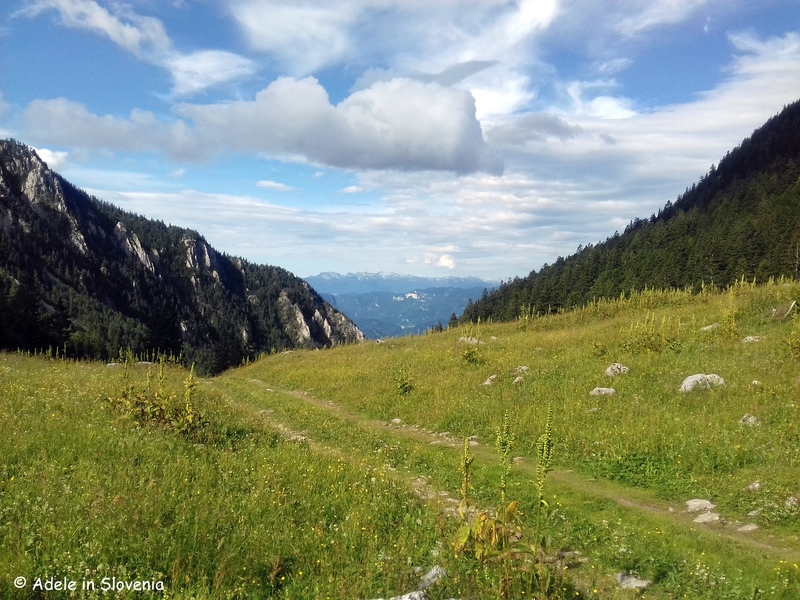 It first follows the path towards the Valvasor mountain hut, where, about 15 minutes before reaching the hut, you turn left onto a gravel road. 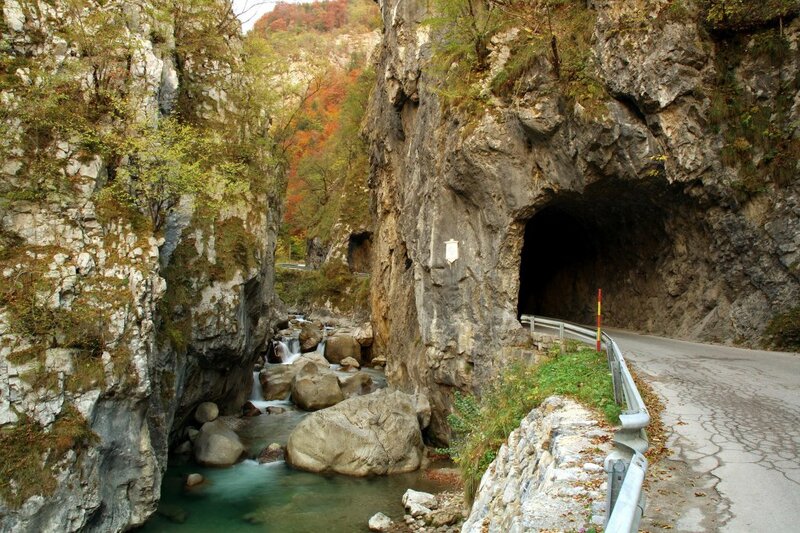 From here its along the road for approximately 15-20 minutes until the junction with the turn off marked for Ajdna. 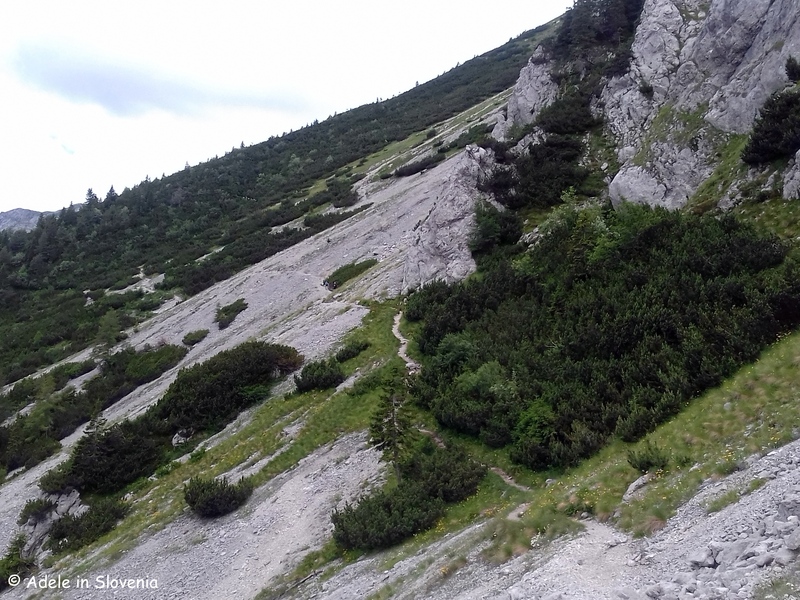 The path at first goes downhill, through the forest, until reaching the base of the peak. 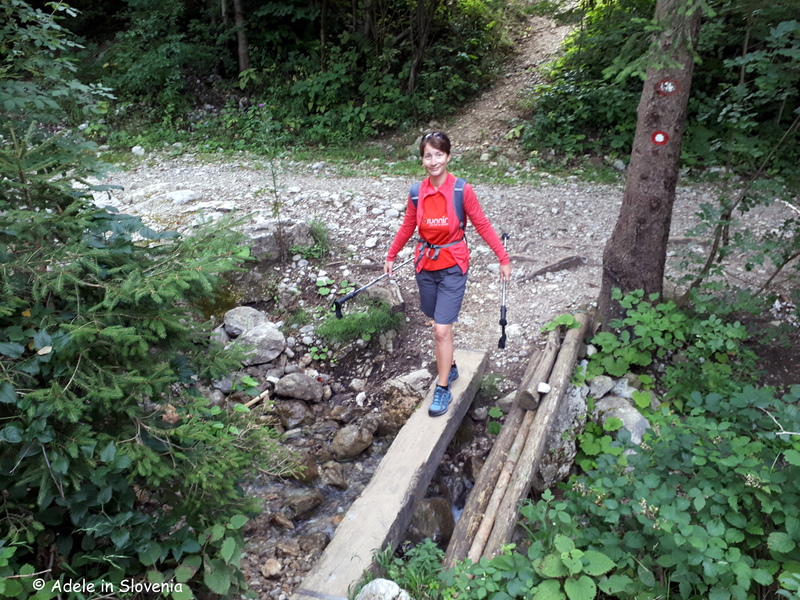 From here there is a choice of the harder, climbing path (15 mins) or the easier path (20 mins). 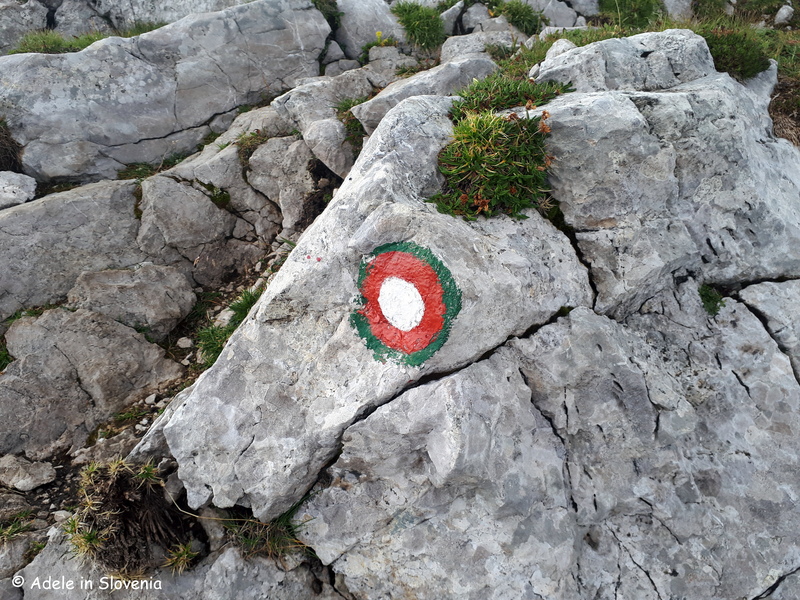 It is well marked throughout. 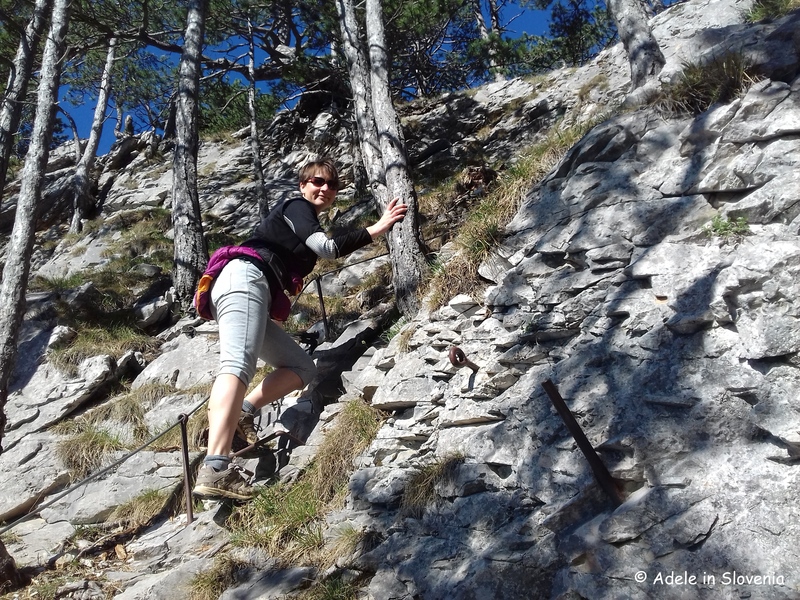 I chose the harder path up and the easier path down. 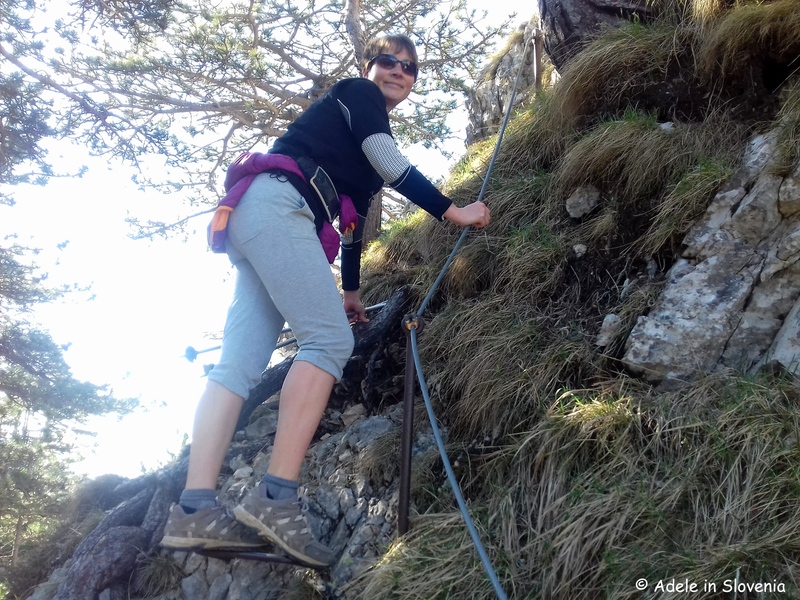 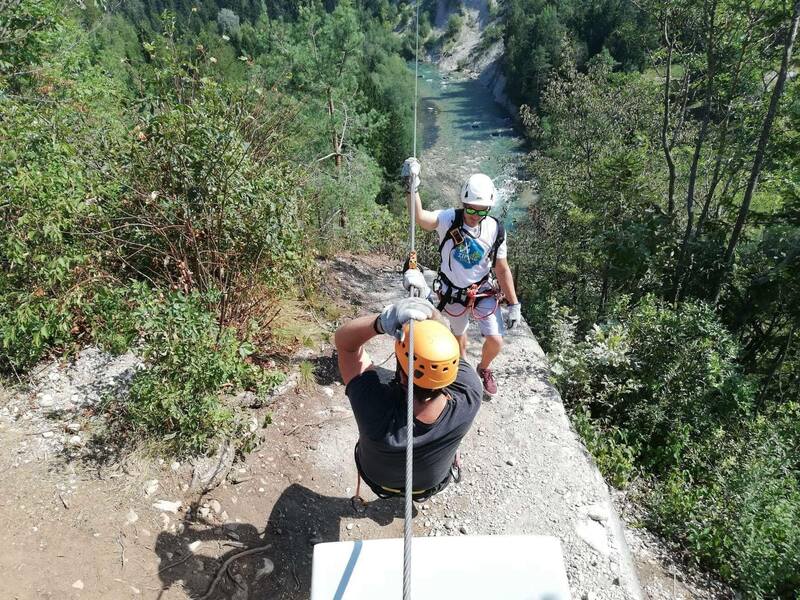 The path up, though not technically difficult, does require sturdy footwear, a steady hand, concentration and no fear of heights as it leads directly up the rock face – but it is well-equipped with steel cable and rungs. 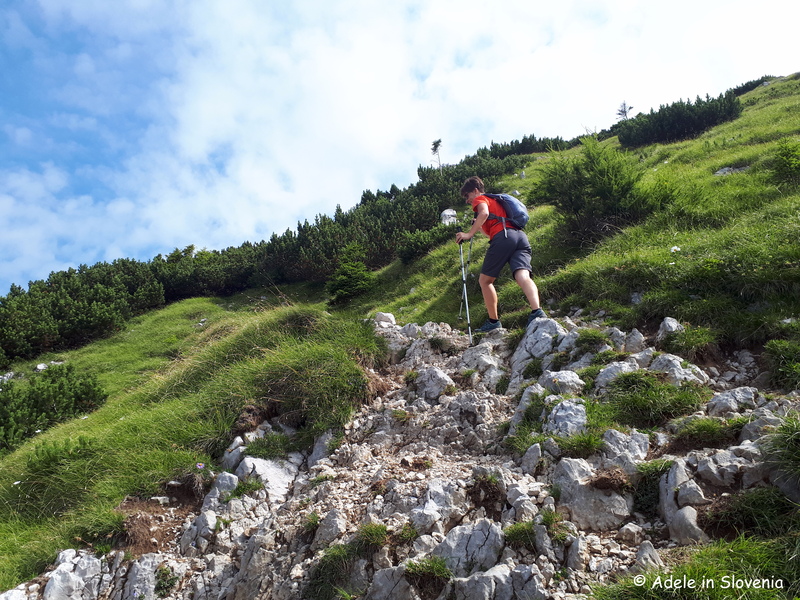 For those not so keen on such ascents, or those with small children, take the slightly longer and easier path to the right. 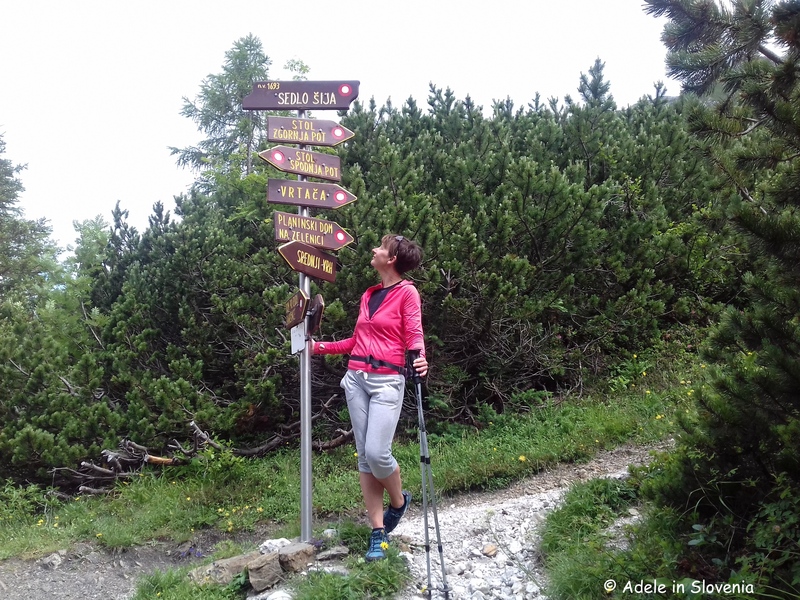 Whichever way you reach Ajdna, you will be richly rewarded for your efforts! 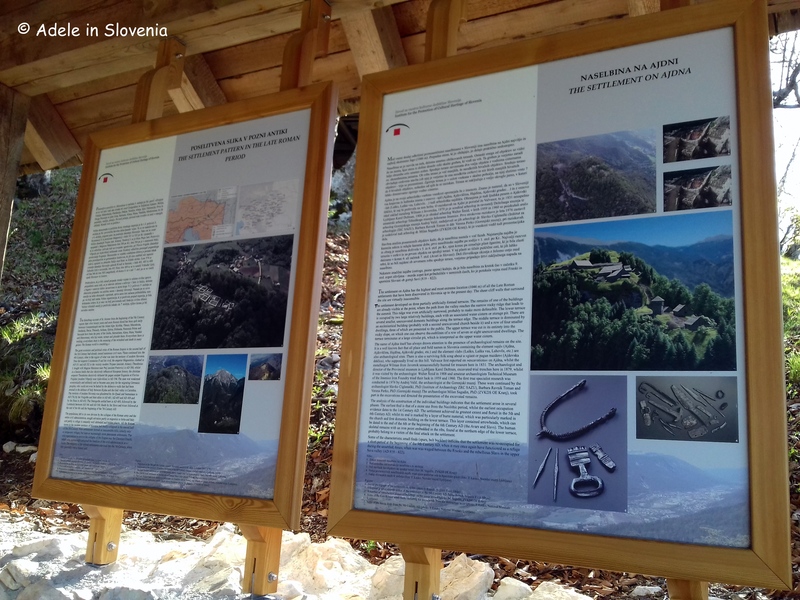 All the information boards at Ajdna are in both Slovenian and English (I should know, I translated them as part of the exhibition catalogue! 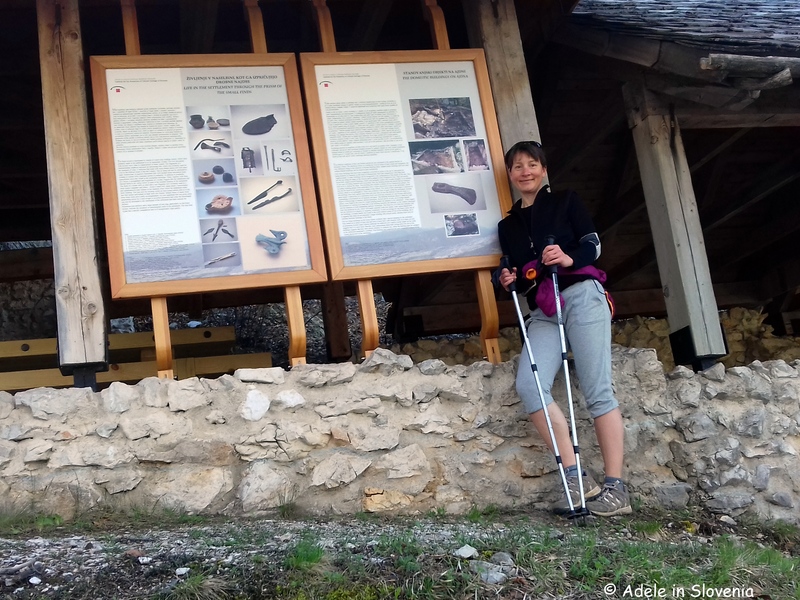 ), so you can read more about the finds and the history of the site. 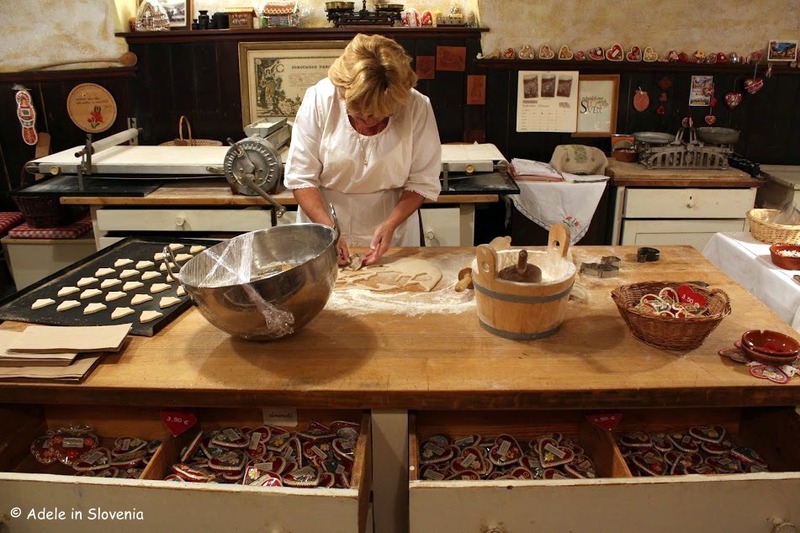 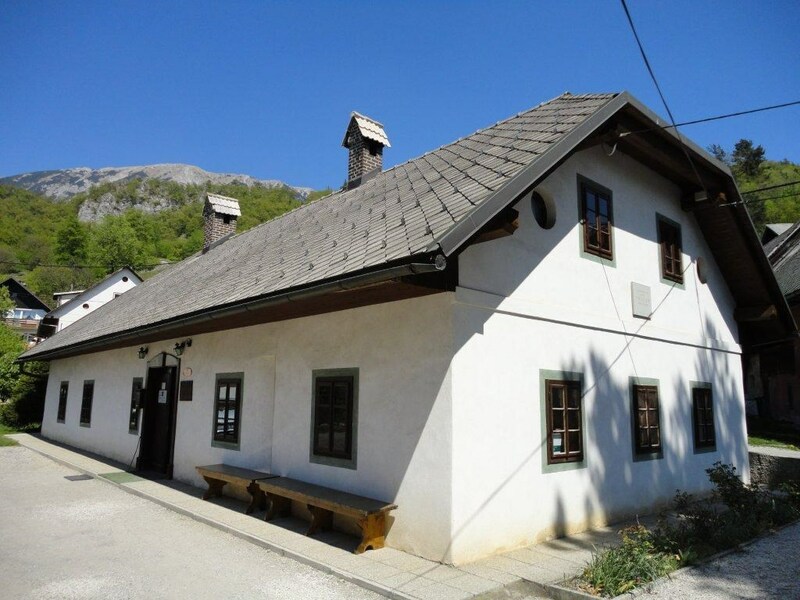 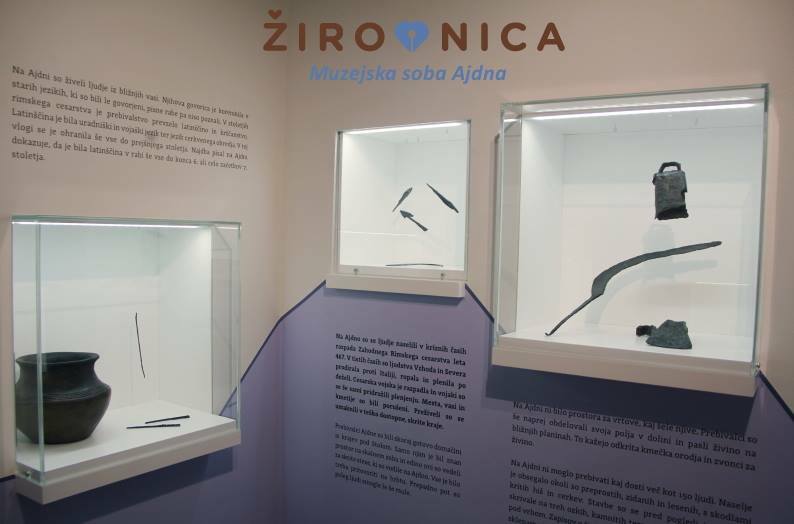 In addition, to complement a visit to Ajdna, you can visit the Ajdna Museum Room in Čop’s Birth House (Čopova hisa) in Žirovnica, where you can learn more about the site and see exhibits of the many fascinating finds including tools, earthenware, jewellery and weapons. 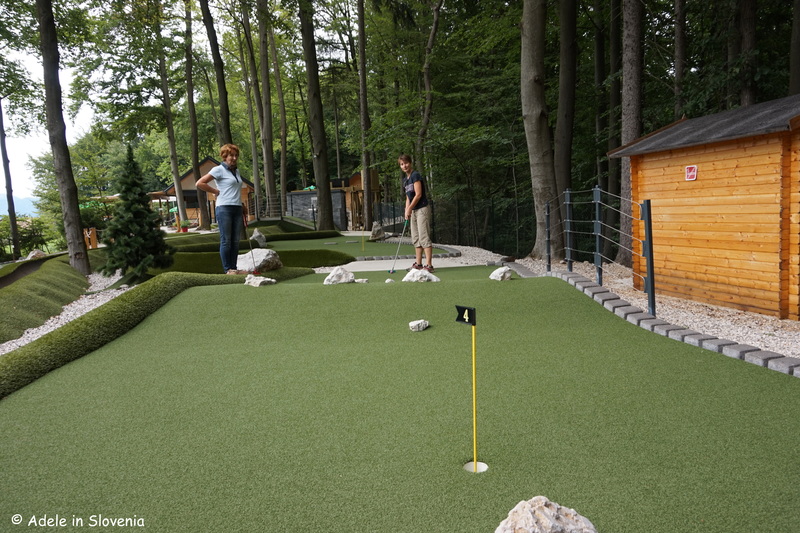 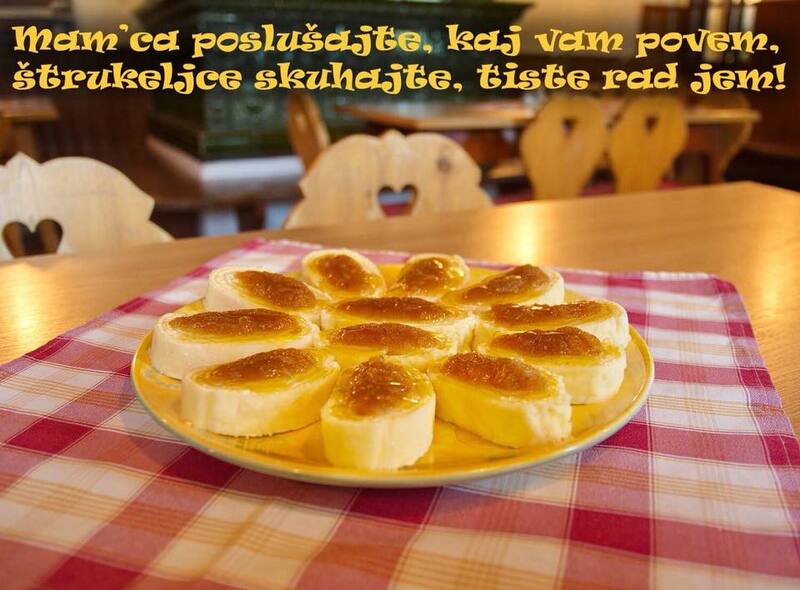 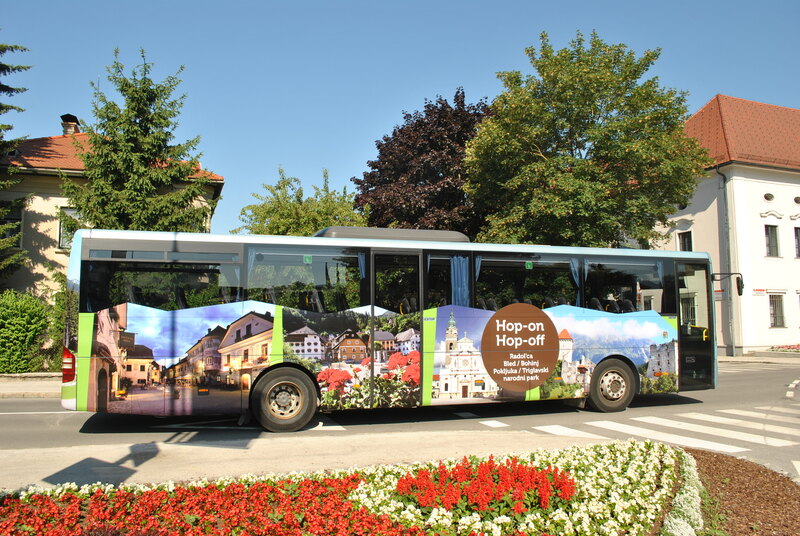 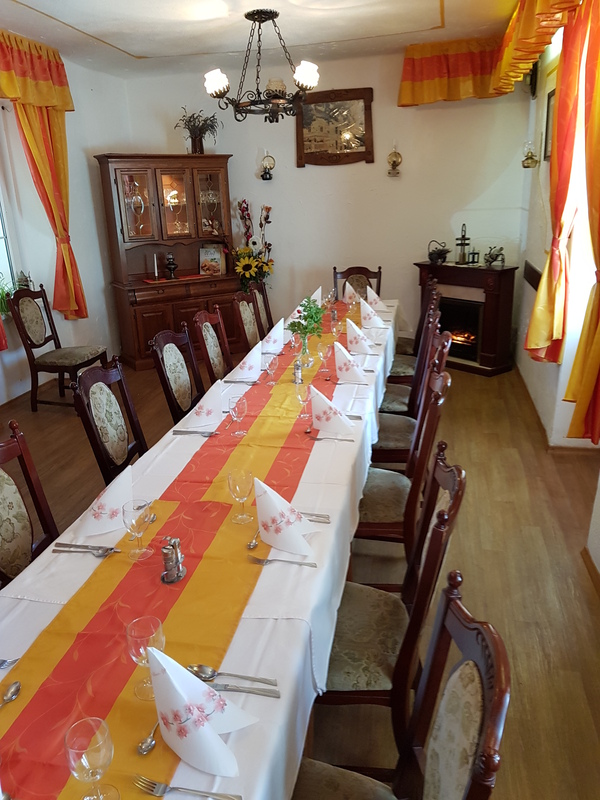 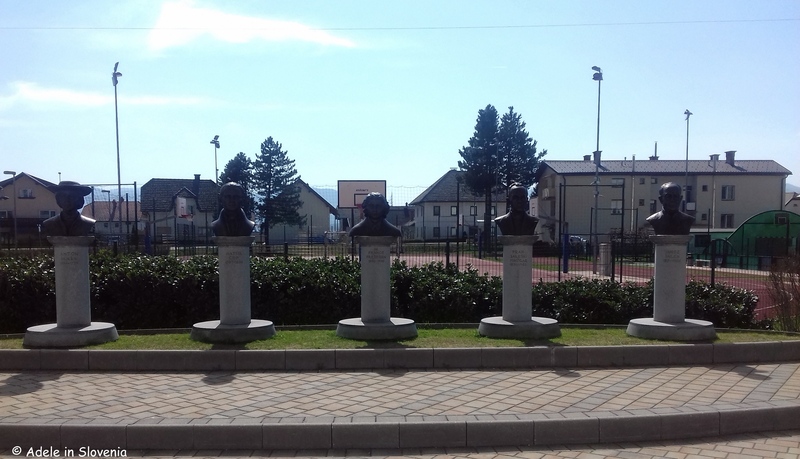 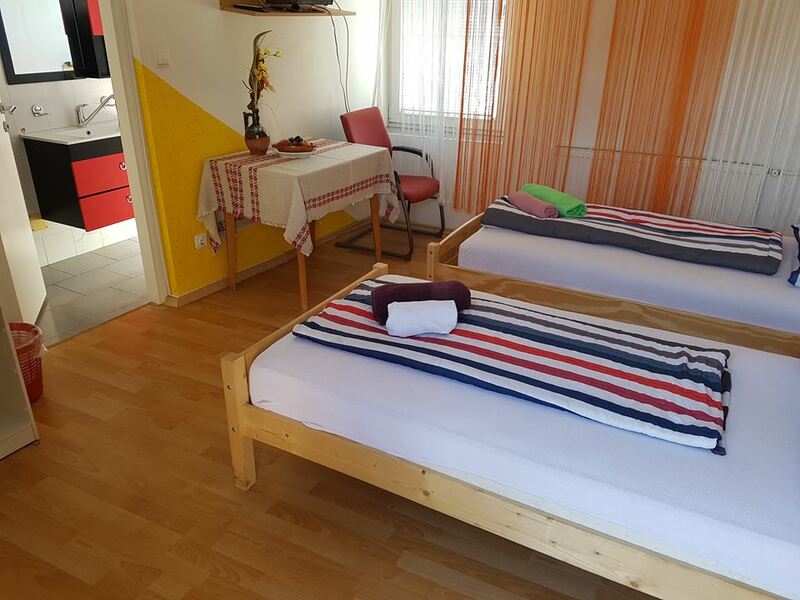 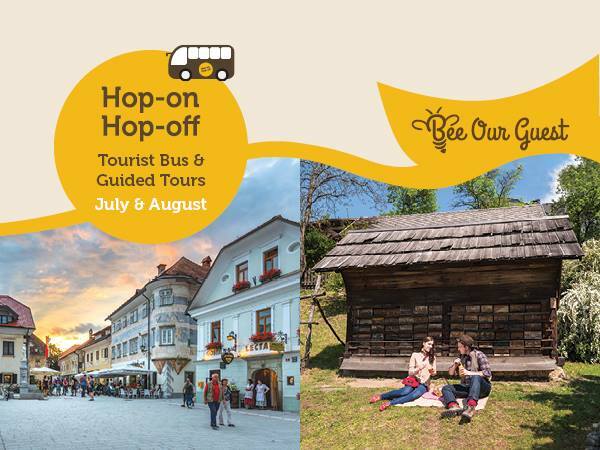 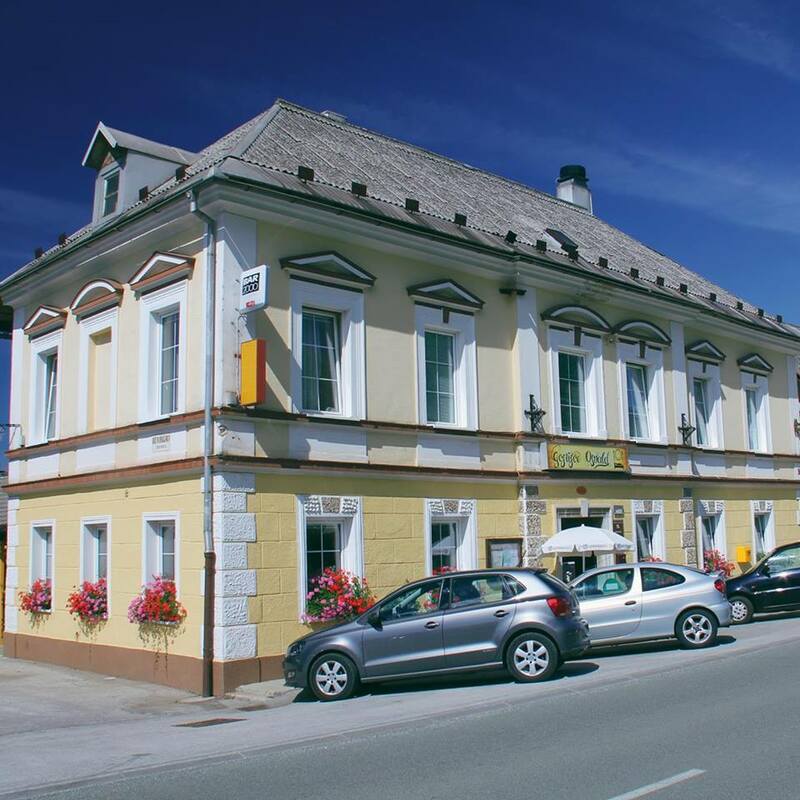 The house is also the seat of Tourism Žirovnica, thus you can also find out more about what to see and do in the area and/or click here for more information.